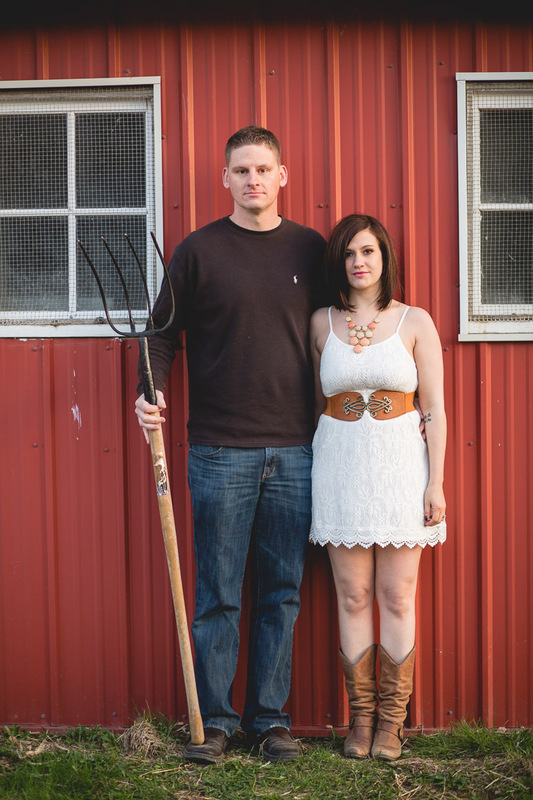 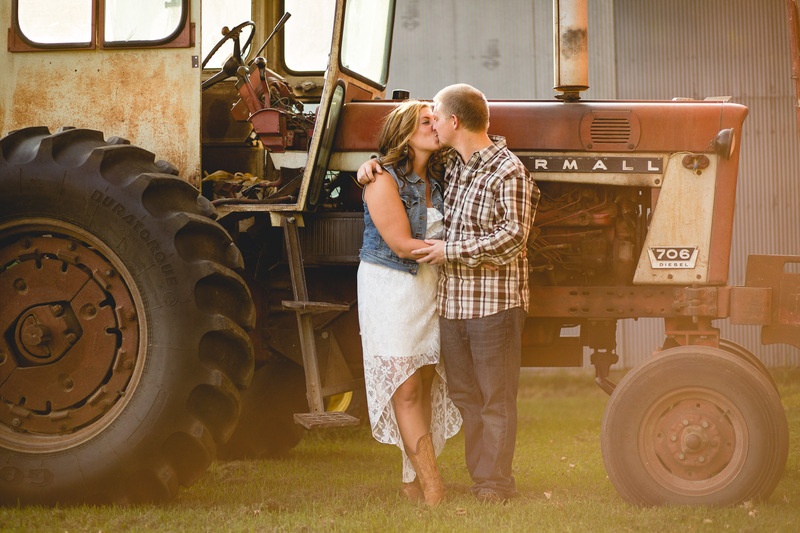 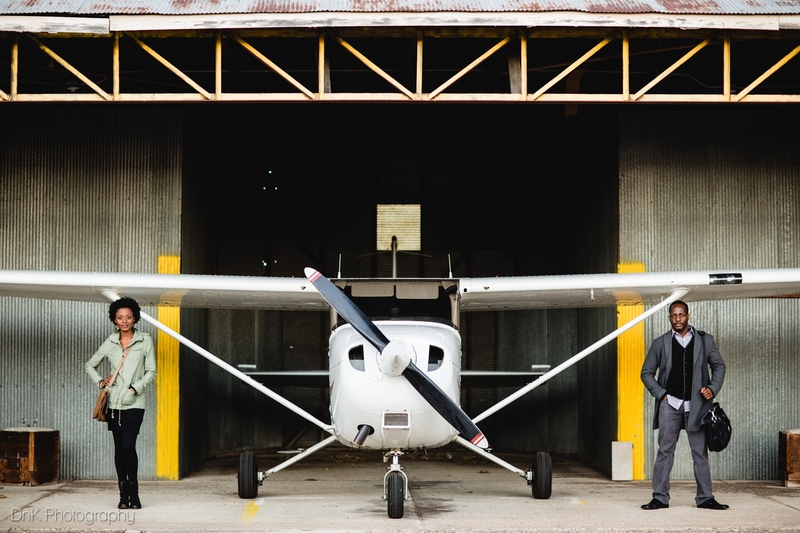 As you think about your engagement session, we always love when couples choose a location/theme that represents them. 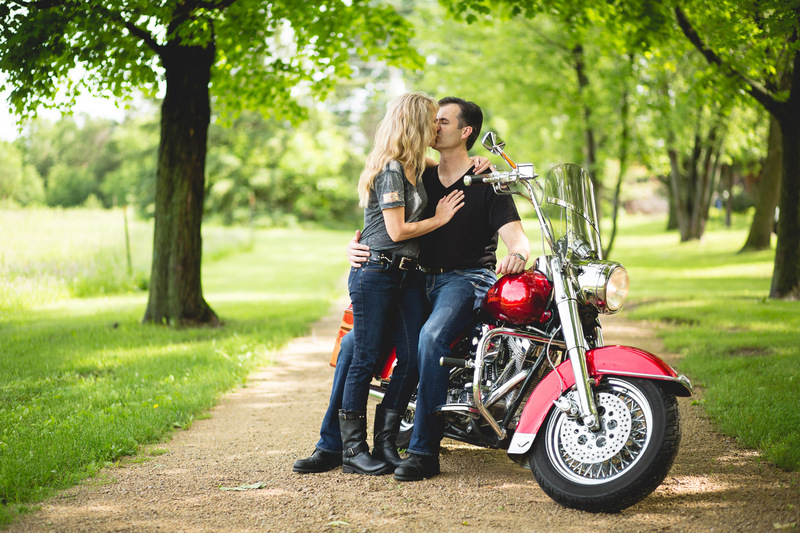 Maybe it involves a motorcycle, the Twins Stadium or a vineyard. 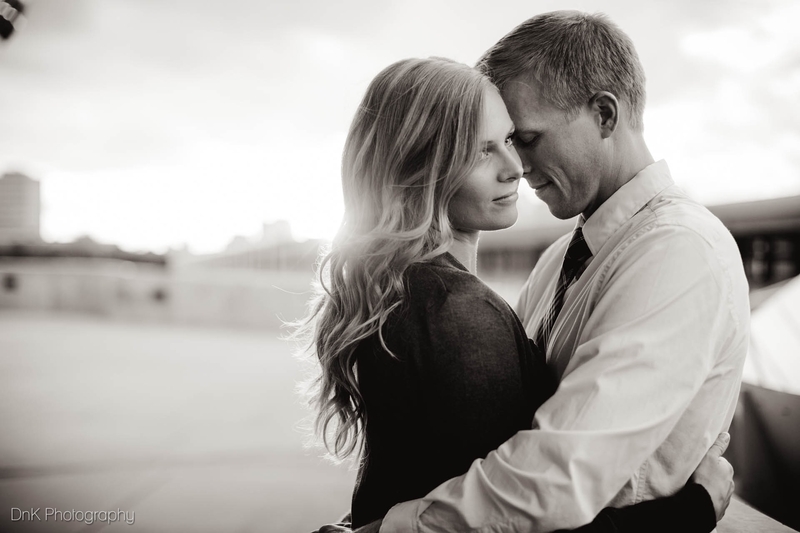 It is also helpful to think about attire as you plan for your session. 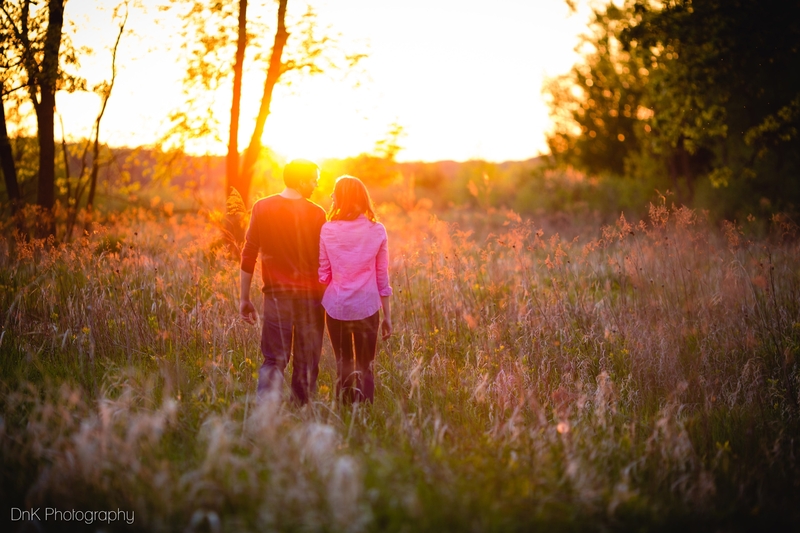 Once you have chosen a location, think about what the feel of the environment is and how your clothes can reflect both you and where you are. 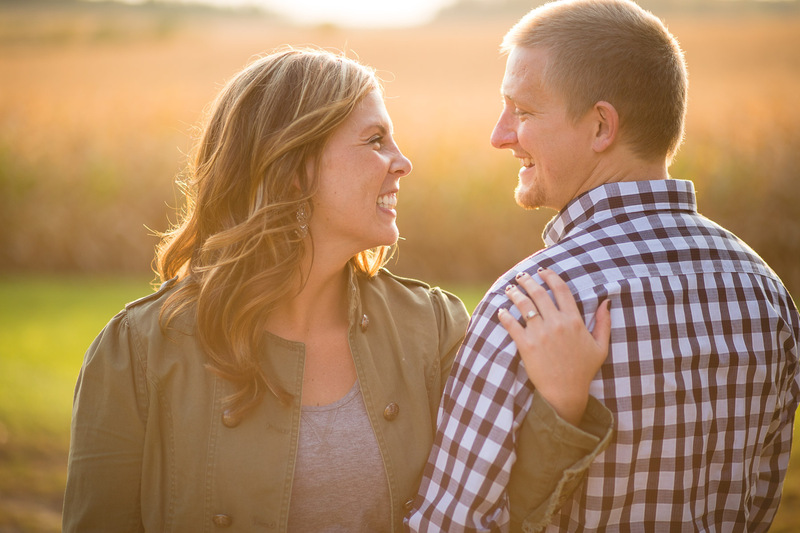 Pinterest is a great resource for ideas! 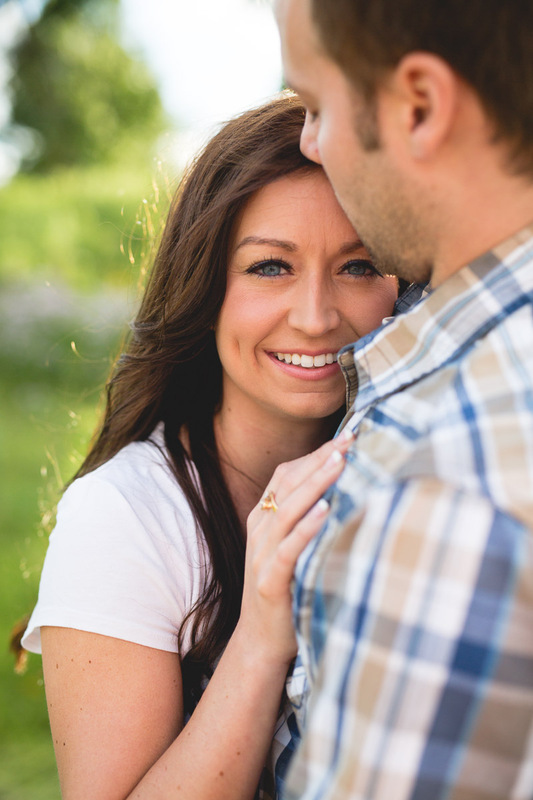 Please know that many of our brides choose to have their hair and make up professionally done. 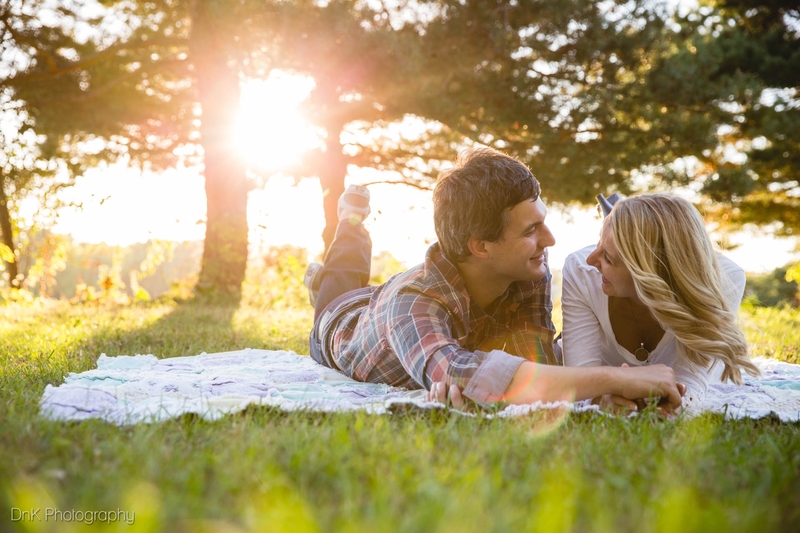 We want you to feel relaxed, confident and ready to have fun! 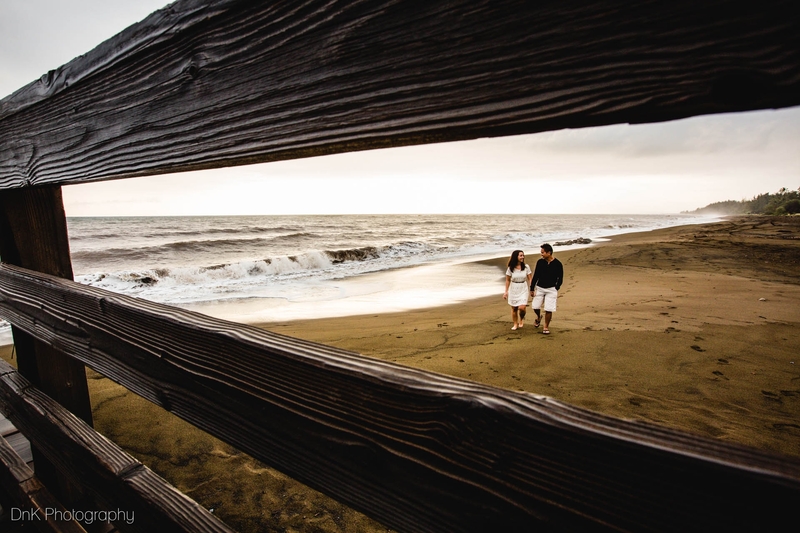 When you plan out the timing for the session think about what you want to use them for. 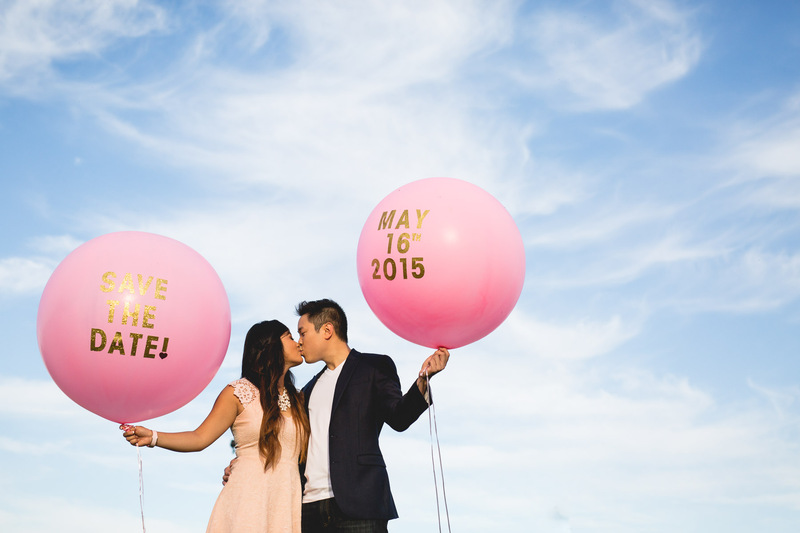 Save the dates, invitations, or just for you? 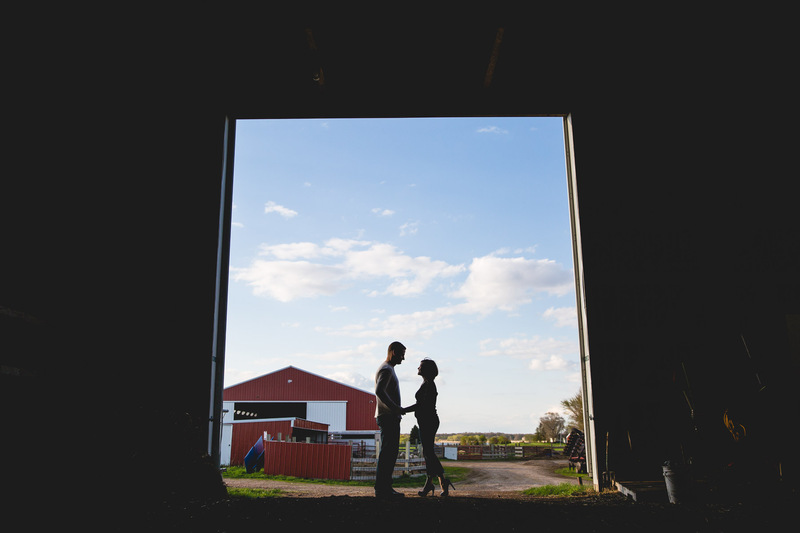 That will help with a time frame of when they need to completed by. 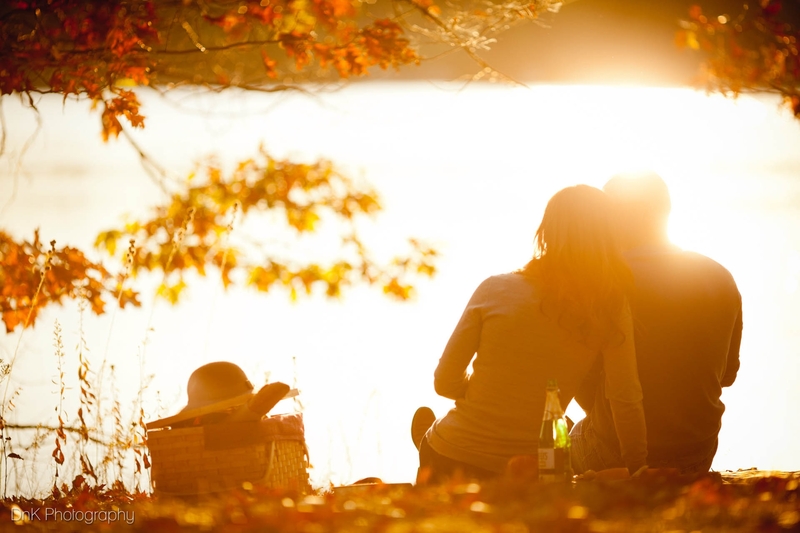 If you aren’t using them for anything in particular, then think about what season you want them taken. 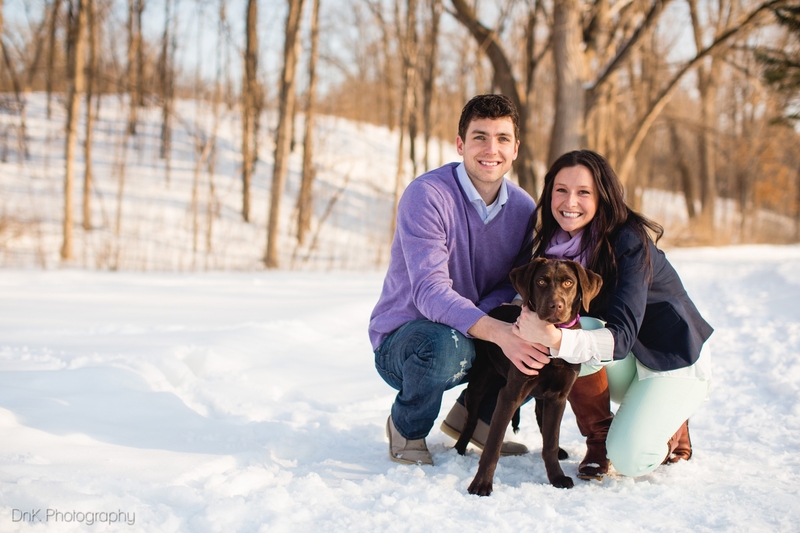 Summer and fall are wonderful seasons for pictures – but winter sessions sure are fun too! 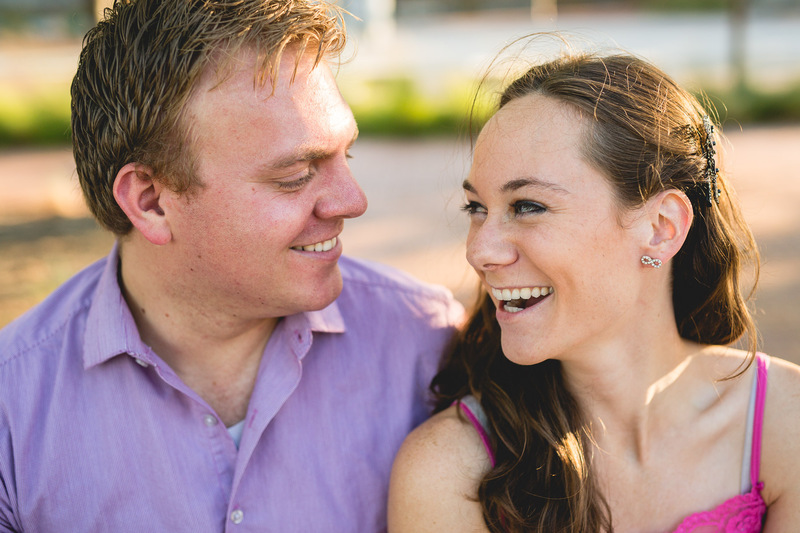 We are available for one engagement session per weekend and also on Tuesday or Wednesday evenings. 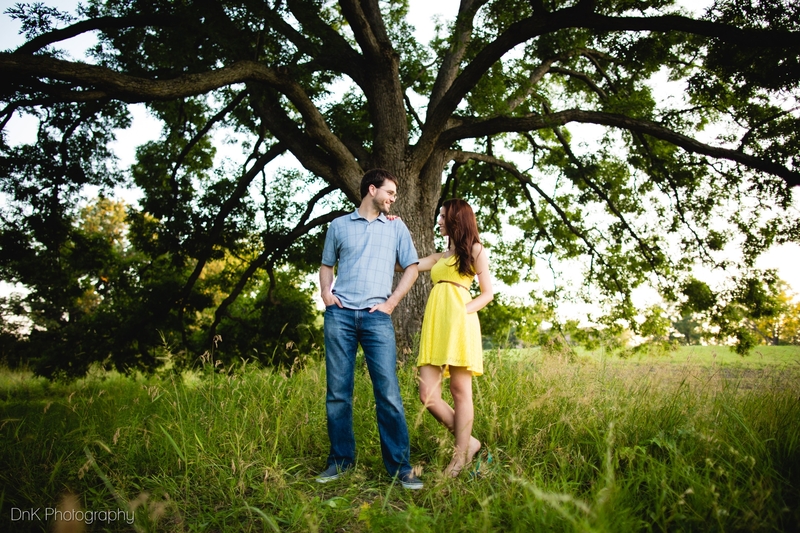 It is generally good to book your session at least one month in advance. 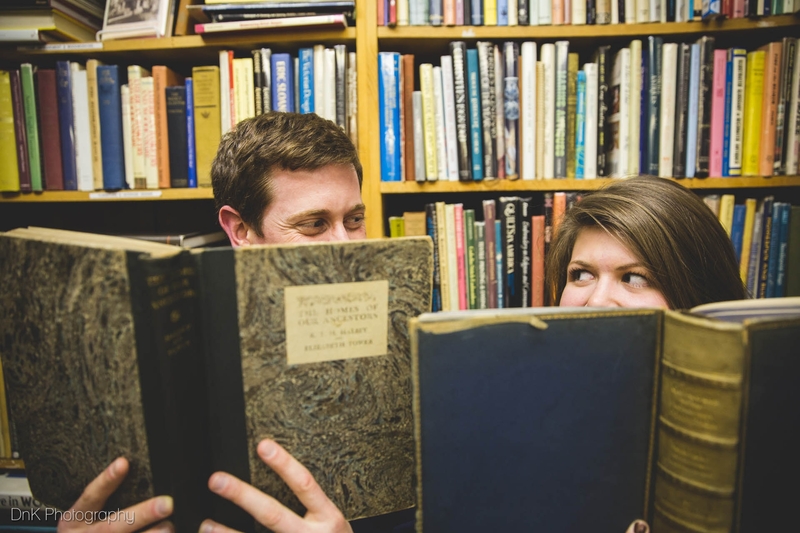 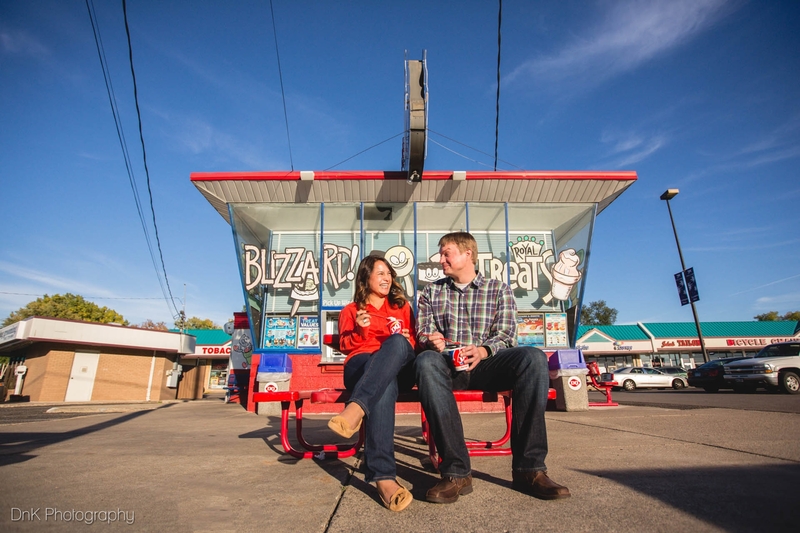 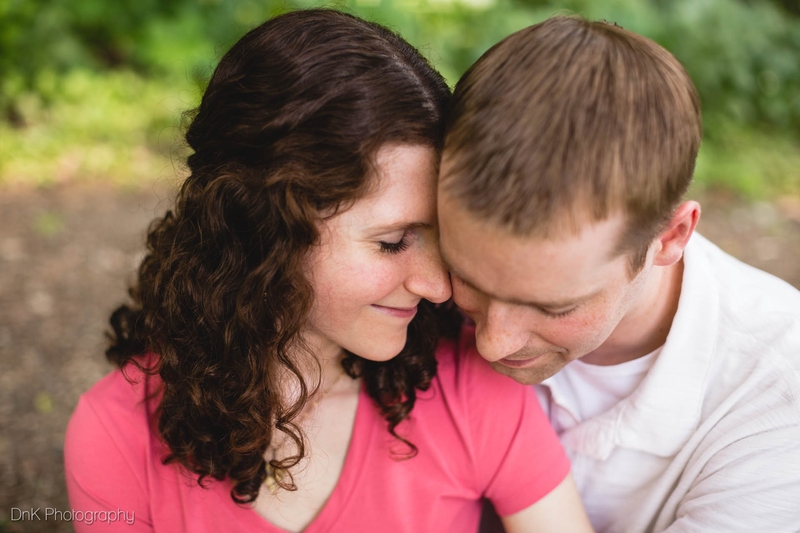 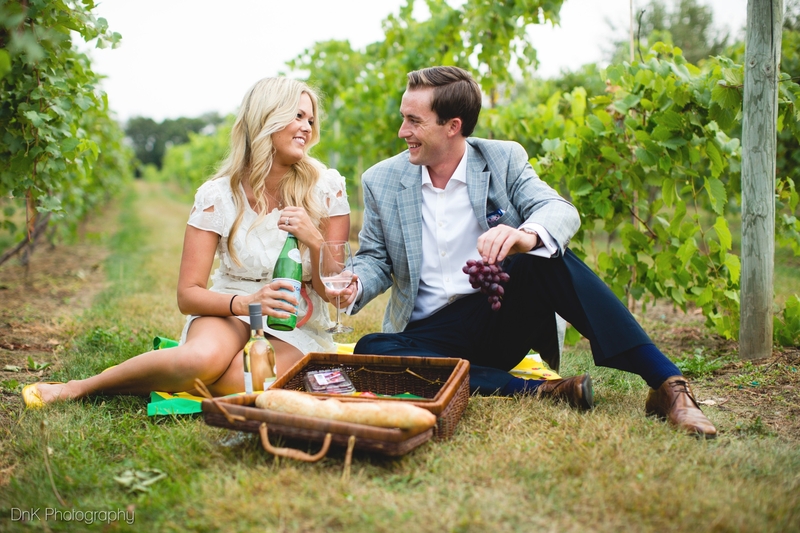 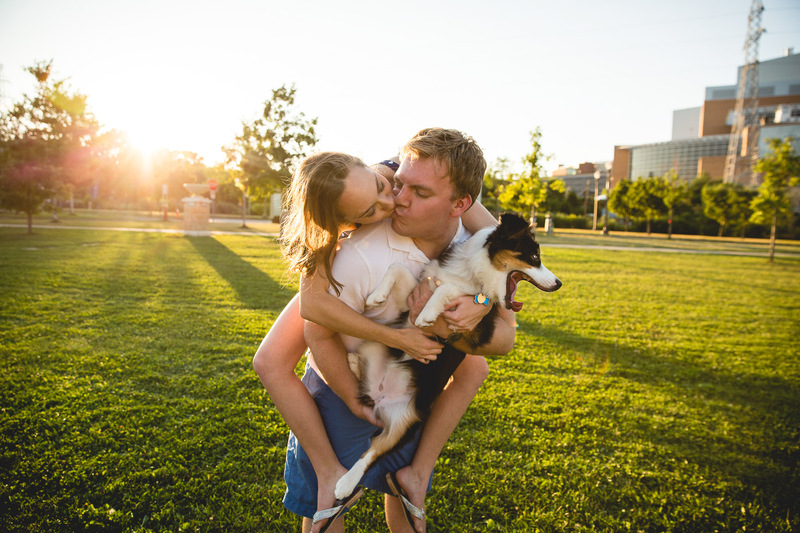 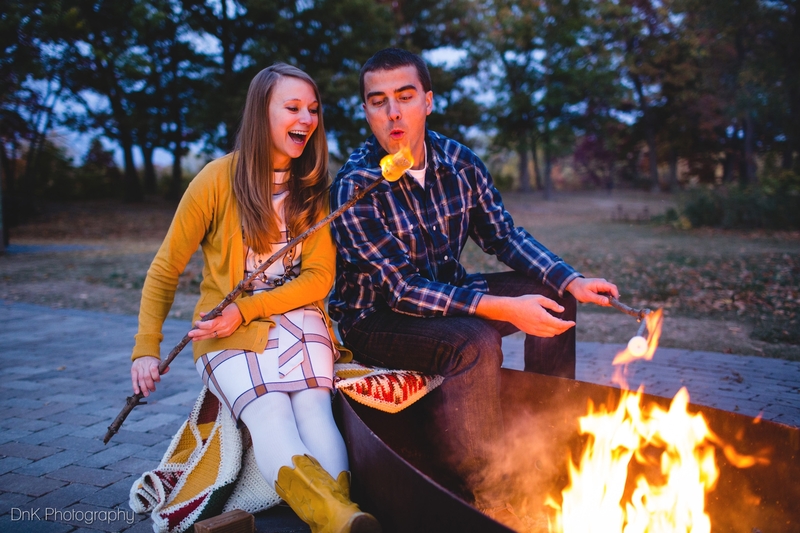 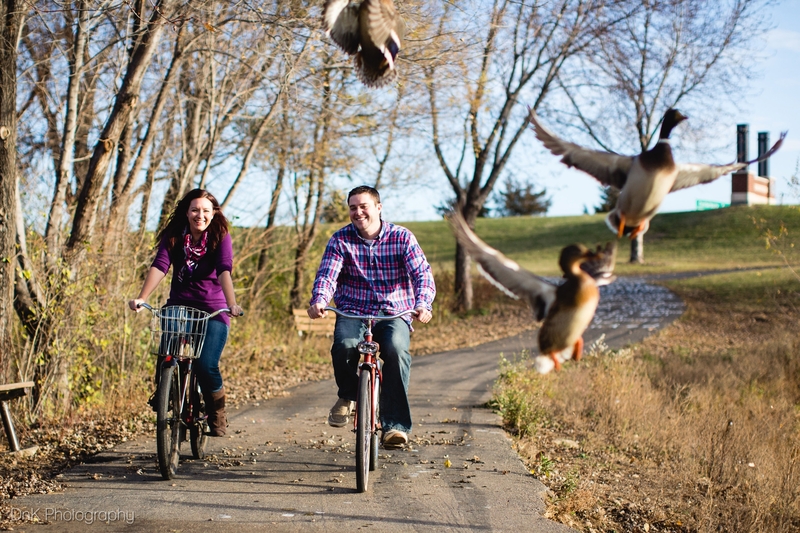 First and foremost, engagement sessions are supposed to be FUN! 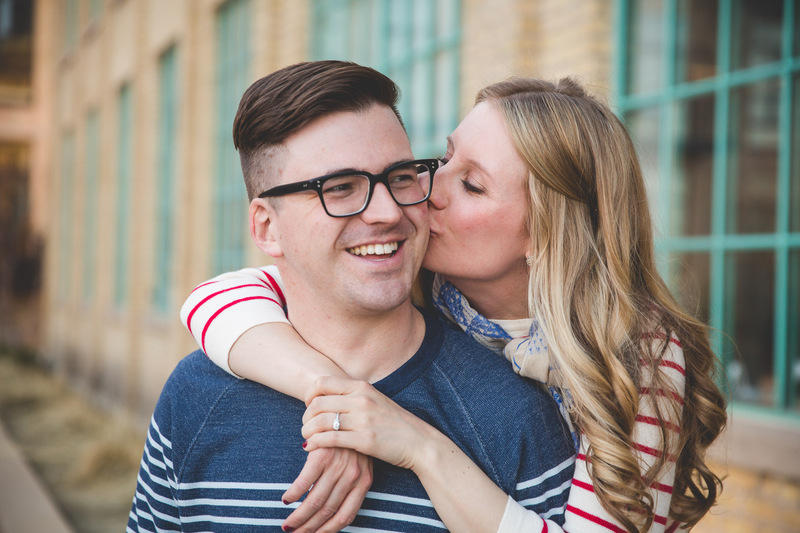 Most people haven’t had their pictures professionally taken since their senior photos – so we want to diminish any thoughts that getting your photos taken is awkward. 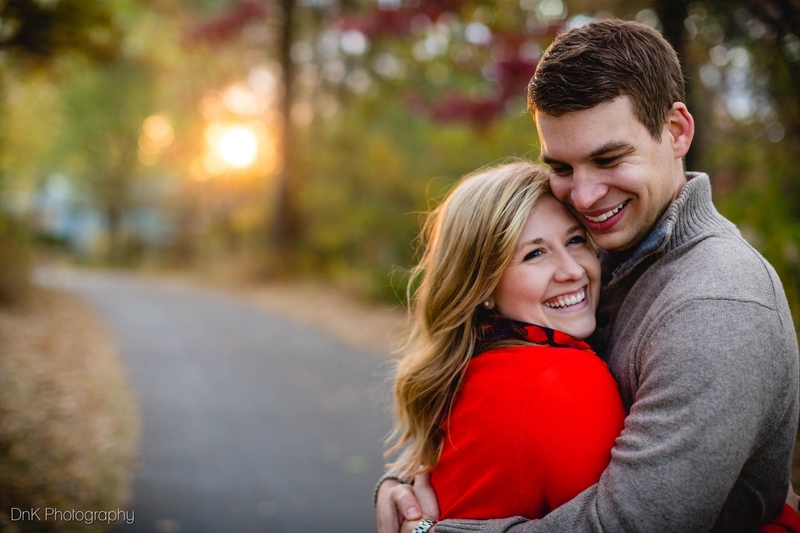 During the session we want to get to know you two, how you “fit” together and want really makes you to happy. 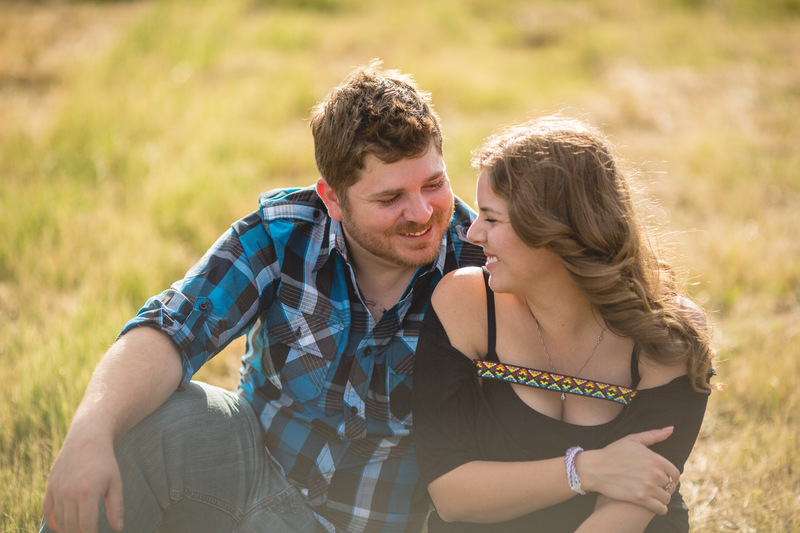 We want you to feel comfortable, look natural and enjoy your time with us! 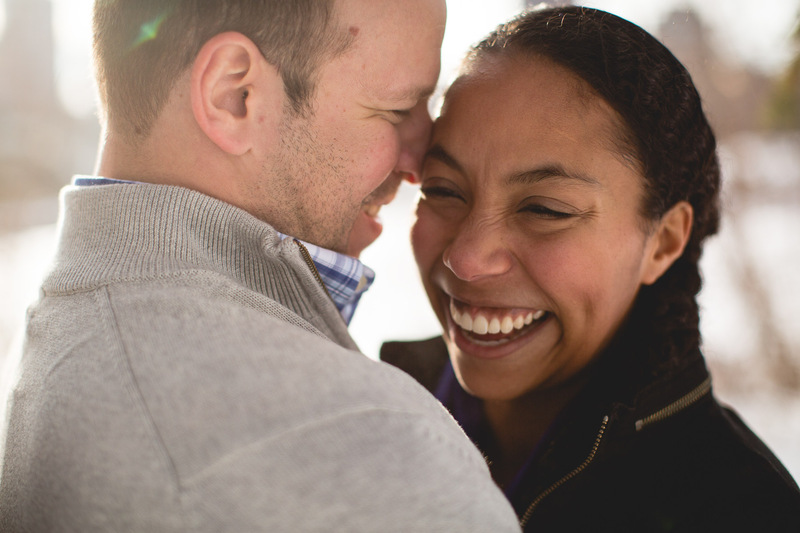 Come prepared to love on your sweetie and laugh! 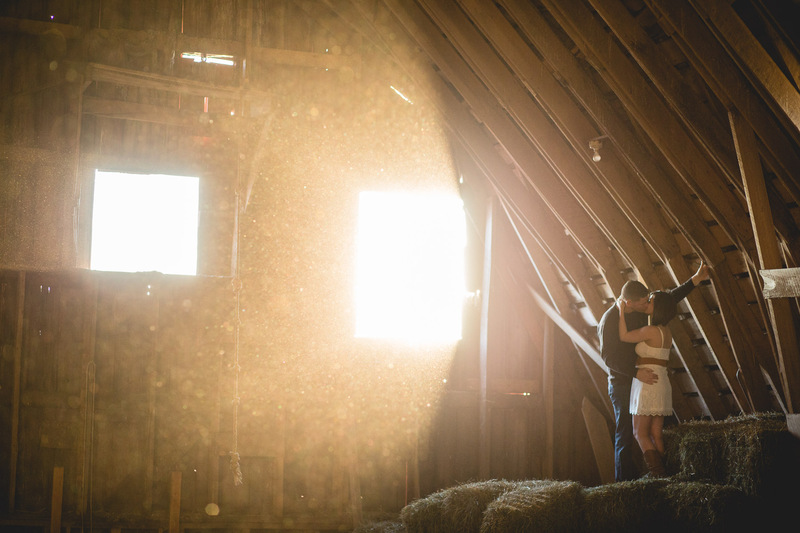 Using DnK for your wedding? 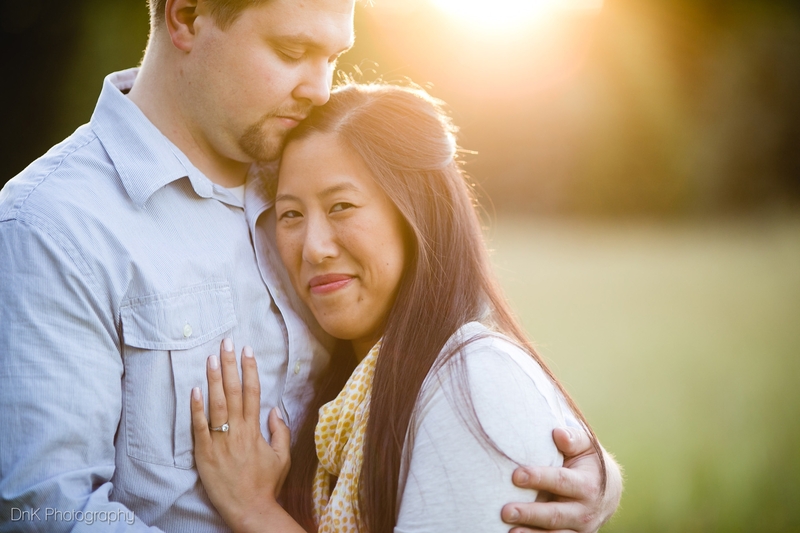 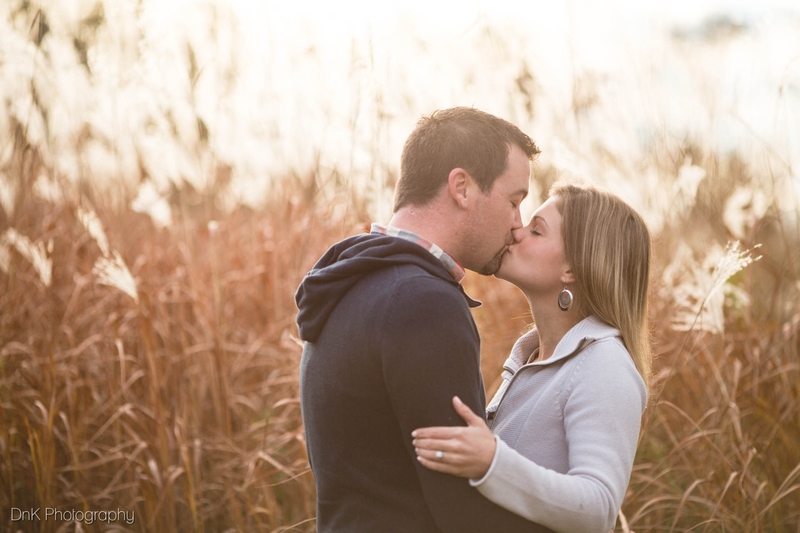 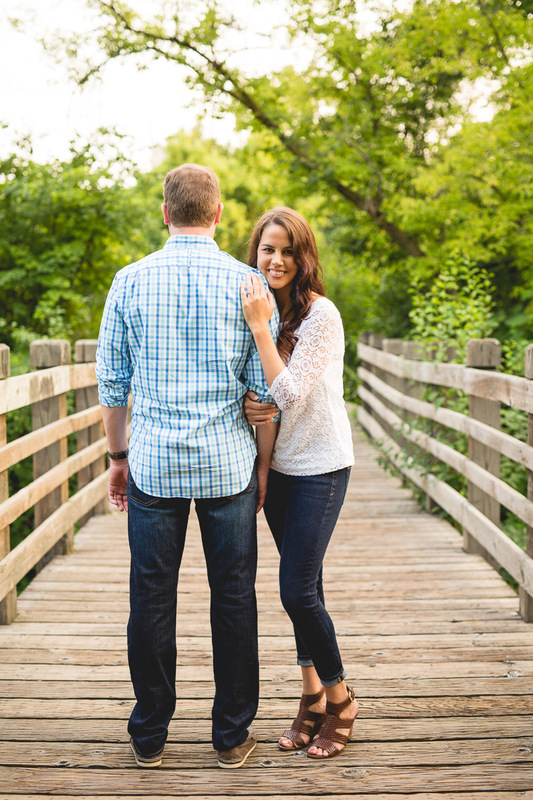 Engagement sessions are so much fun, and Minneapolis offers such diverse locations! 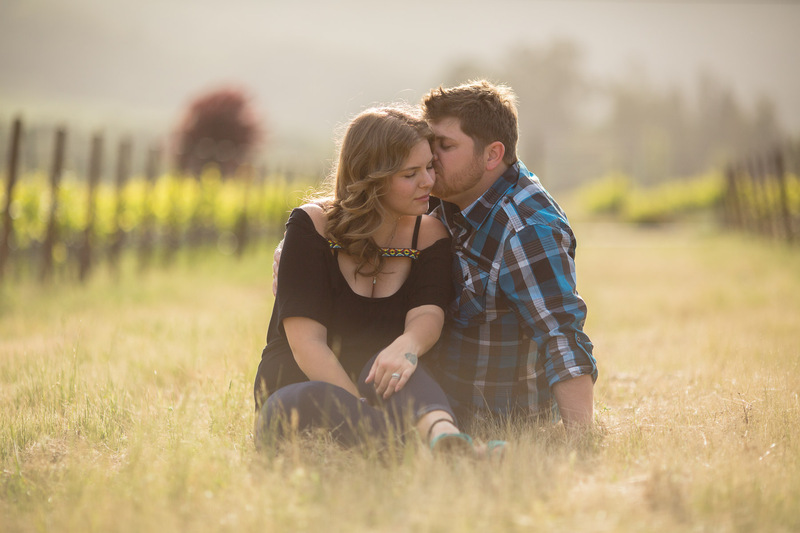 Our engagement photography is unique and original, and most important of all, we work hard to get to know you as a couple. 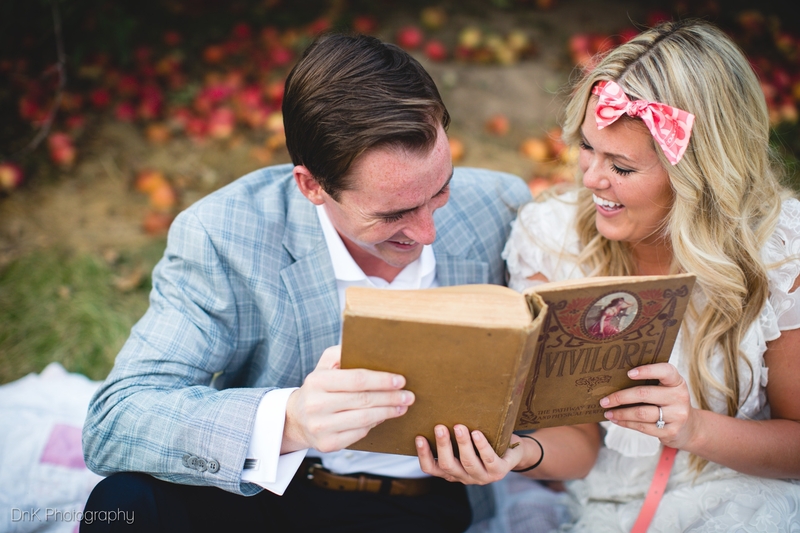 We want to tell your love story with honesty and creativity, showing off your true personalities. Engagement photos are a great opportunity to do something fun that you might not get the chance to do on your wedding day. 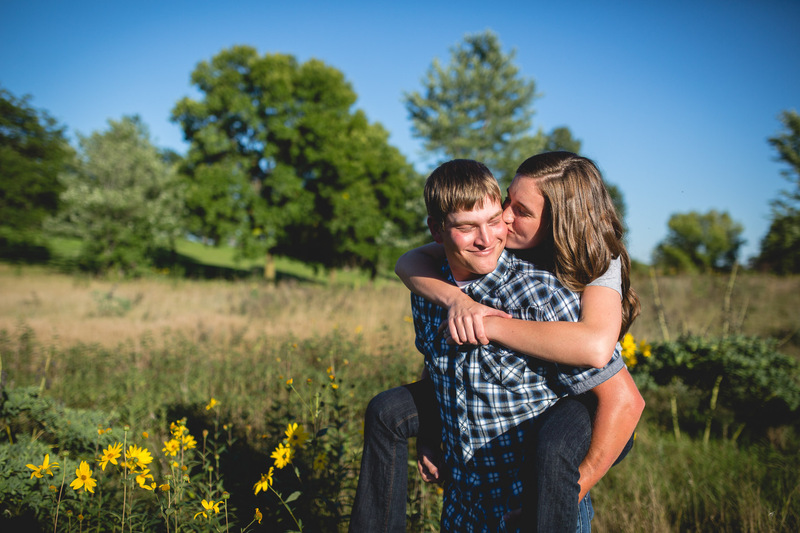 Our sessions are typically 1 1/2 hrs, and we do our best to plan around something that is fun and special to you as a couple. 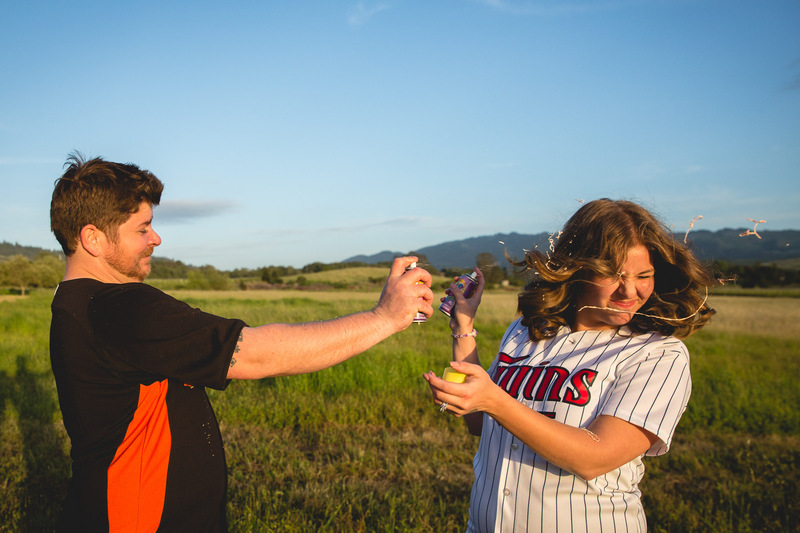 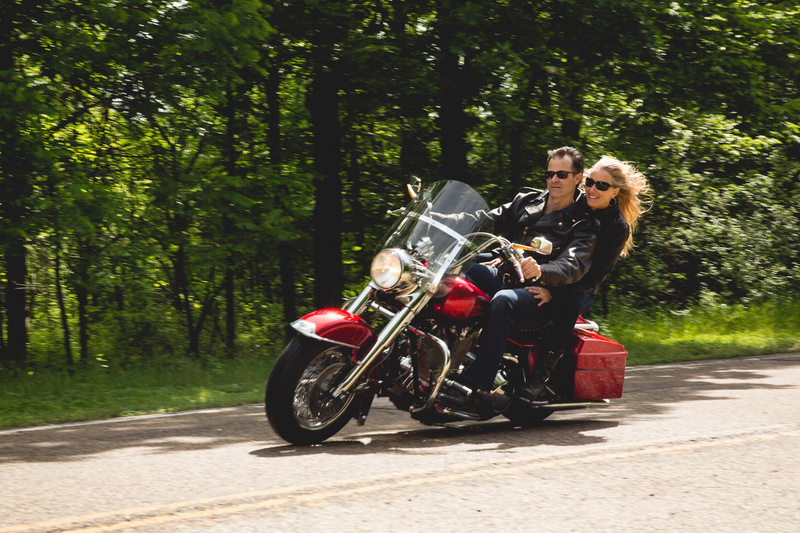 Whether that’s enjoying one of the local parks, or it’s doing photos of you at a twins game we want to come away with images that really reflect who you two are. 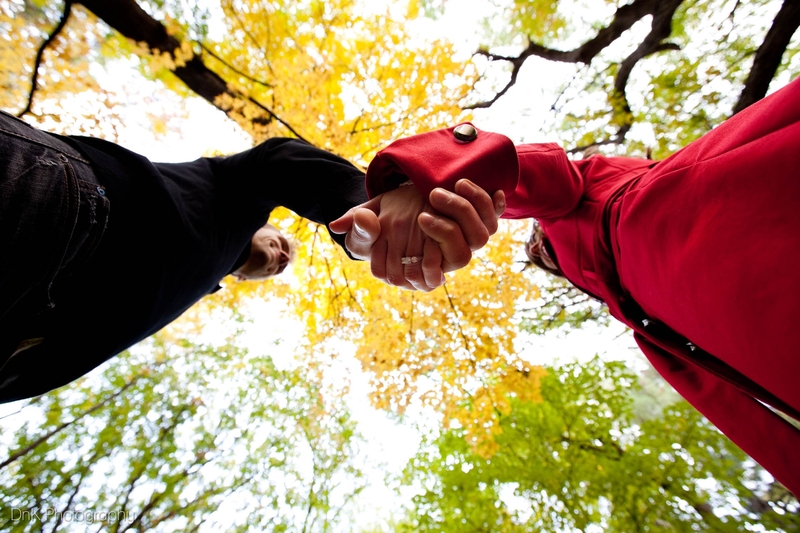 We work as a team. 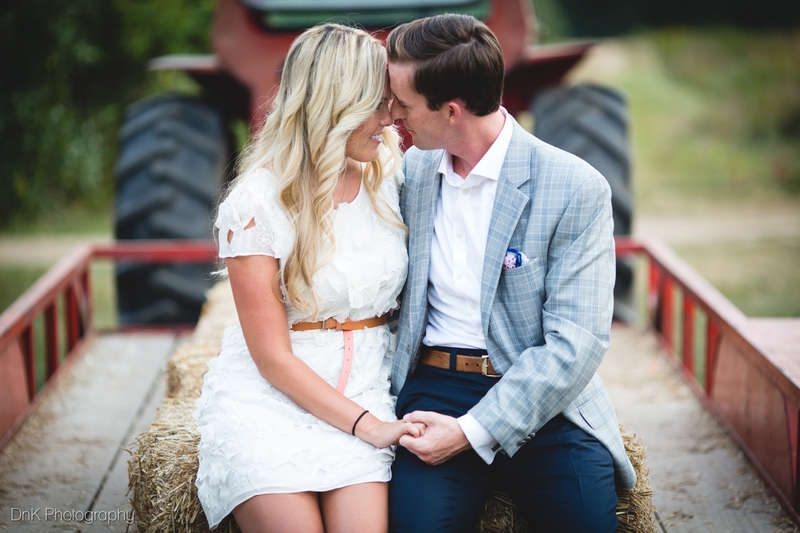 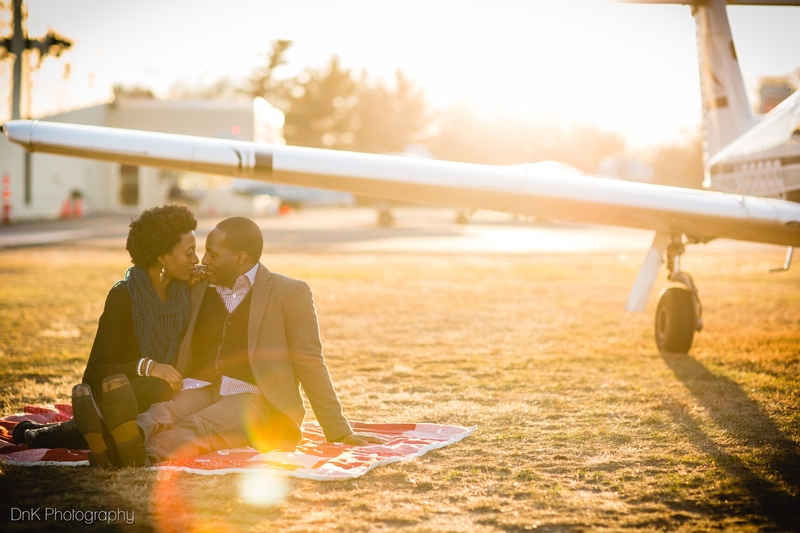 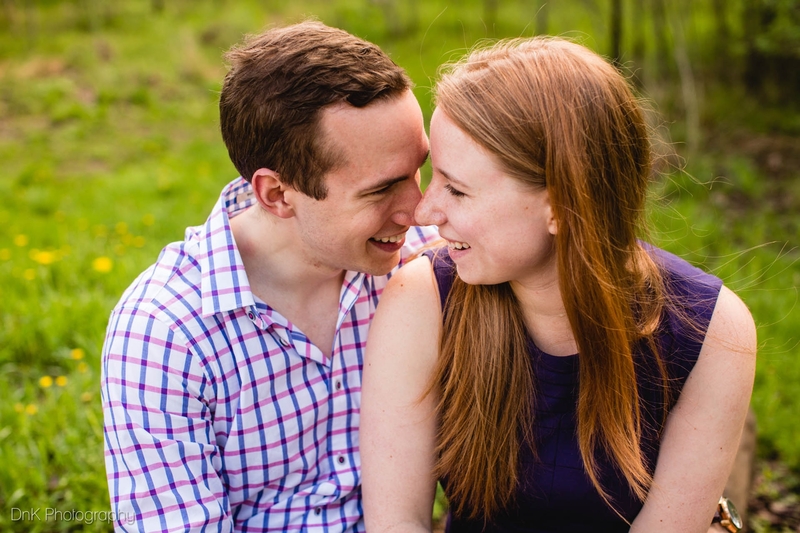 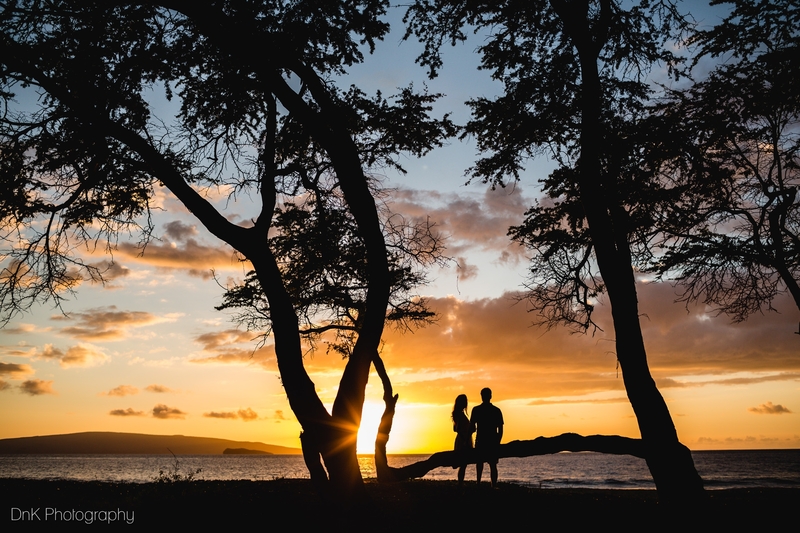 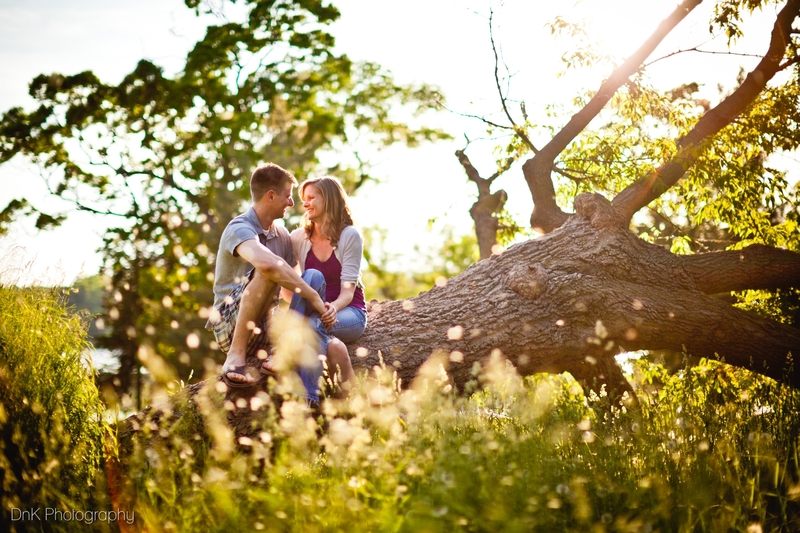 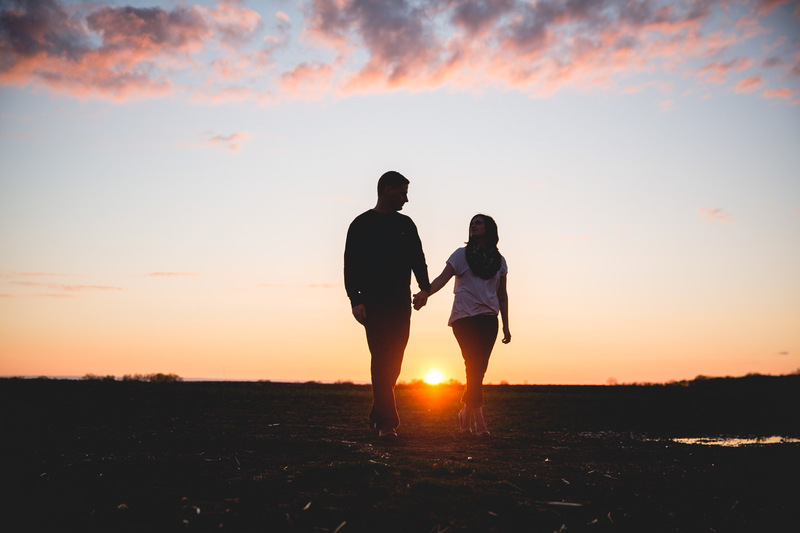 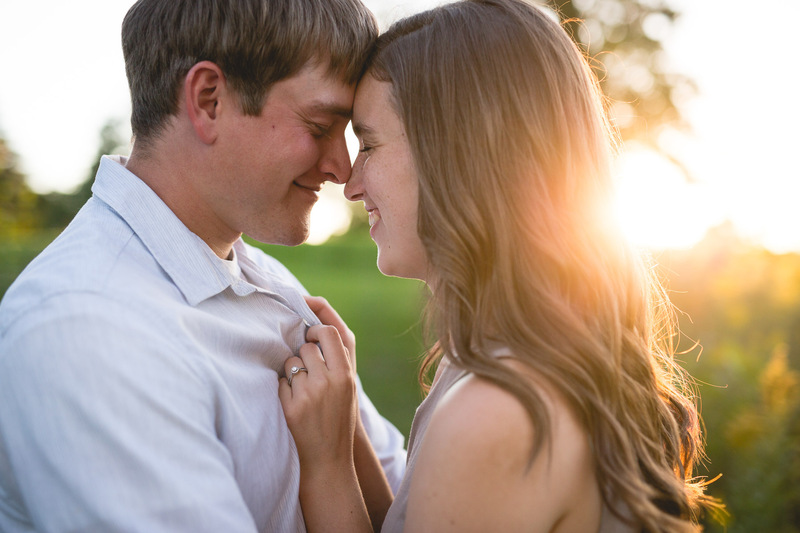 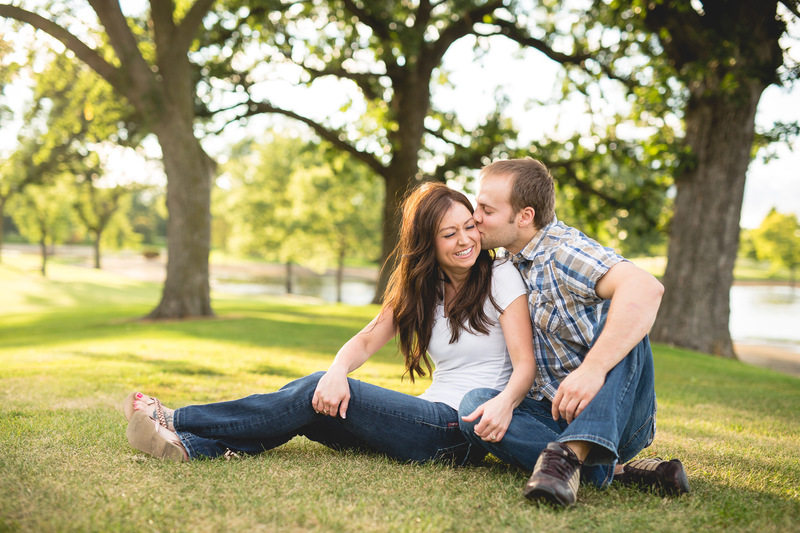 During your engagement portraits, we want to capture all of your love story. 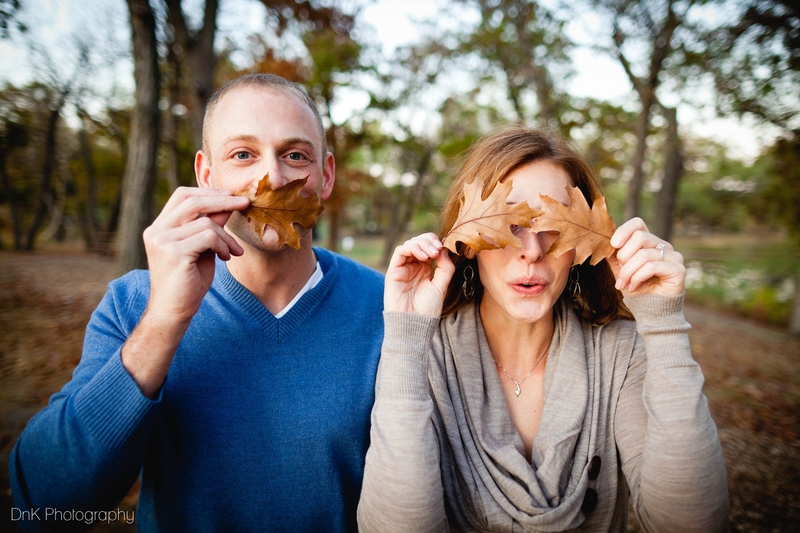 Dan and Karin help you be yourself in front of the camera, having fun. 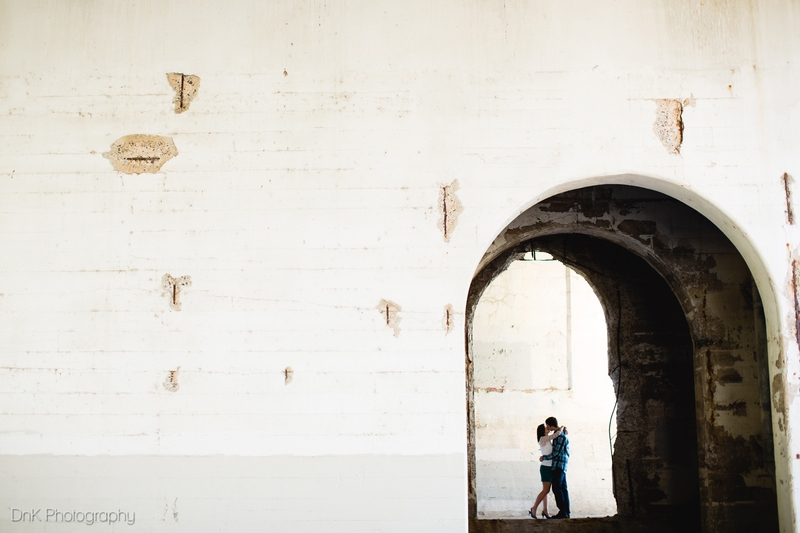 We find unique locations and beautiful settings. 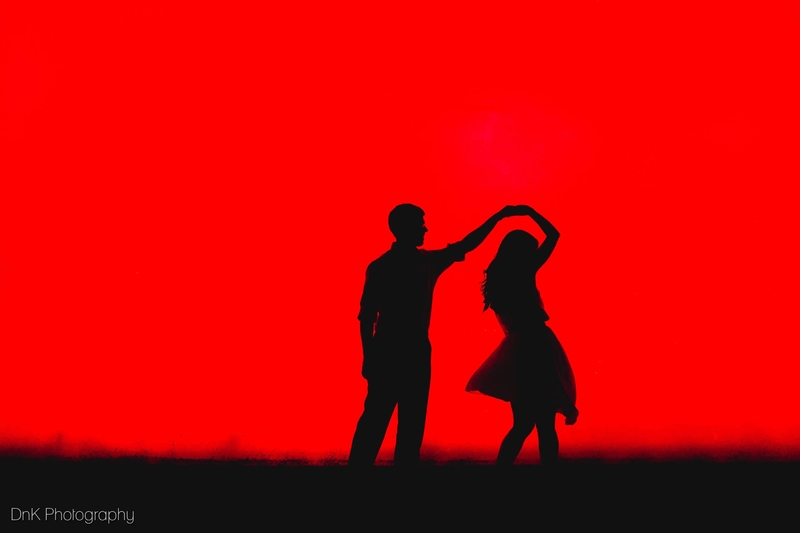 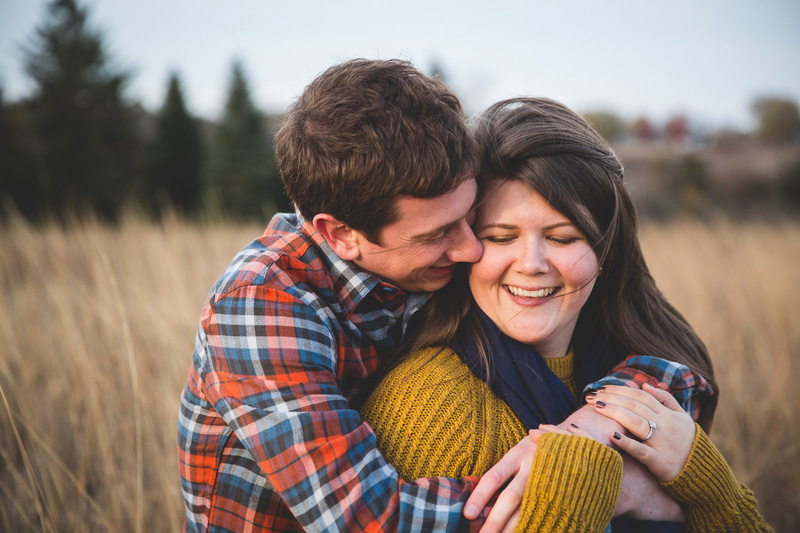 From our studio for more formal portraits to the parks and streets of Minneapolis, our engagement photography will showcase your love. 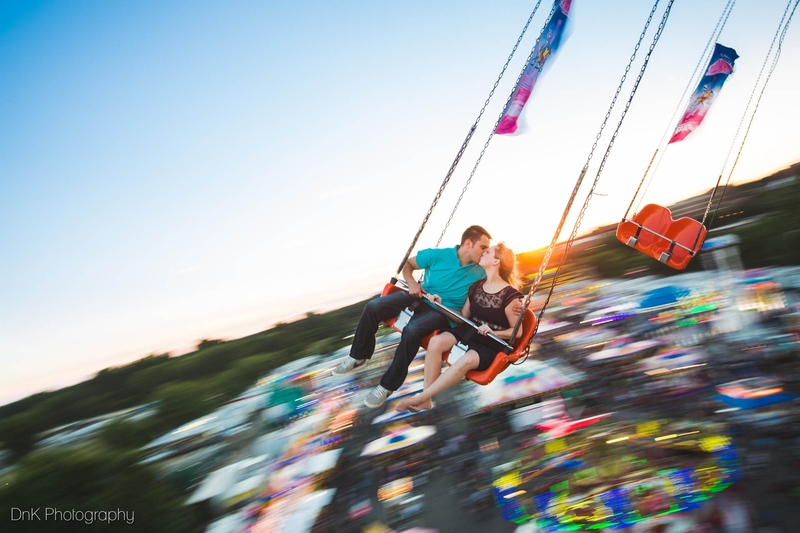 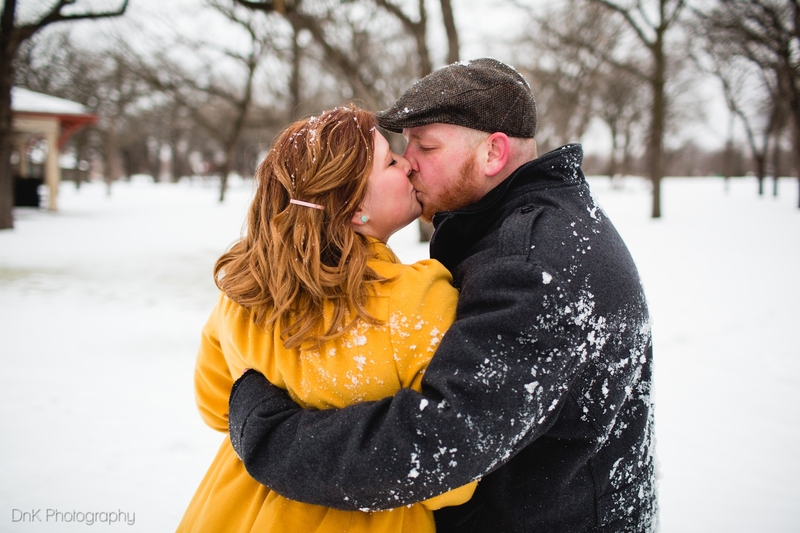 Dan favors a wide-angle lens, and likes telling stories about couples in Minneapolis. 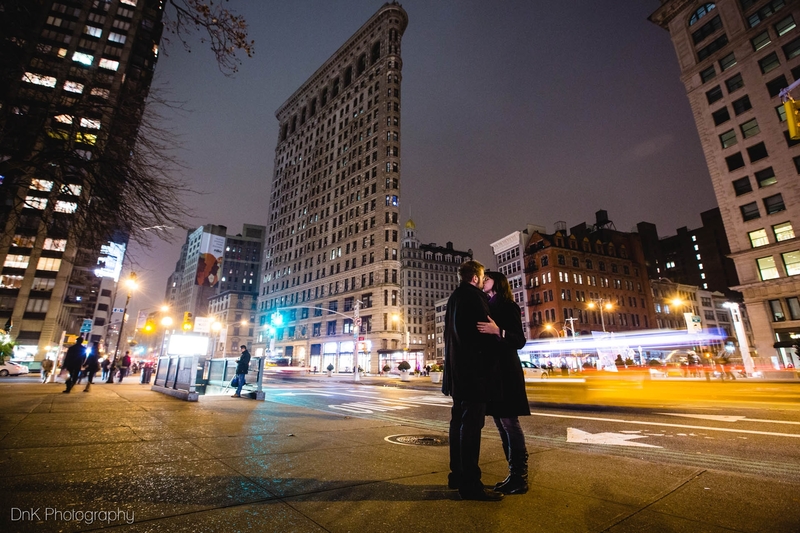 He captures your love in this amazing city, incorporating the architecture, life, and colors around you. 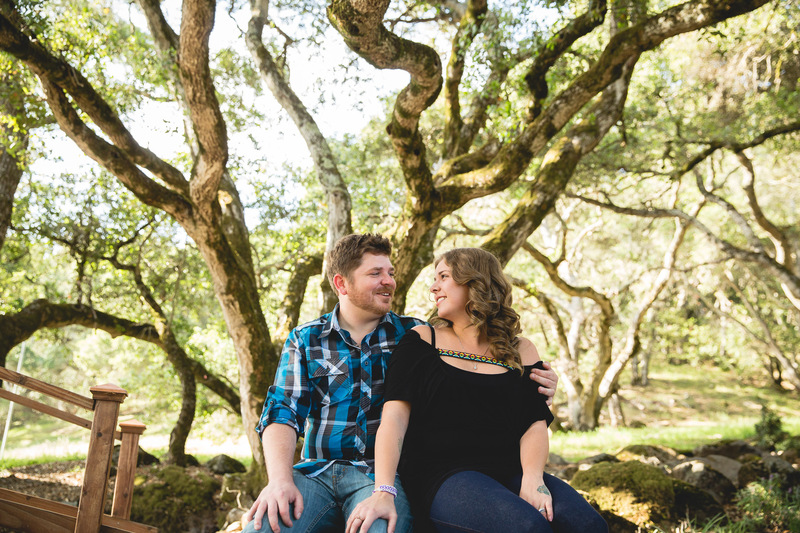 Karin loves the details and little quirks that make you as a couple unique. 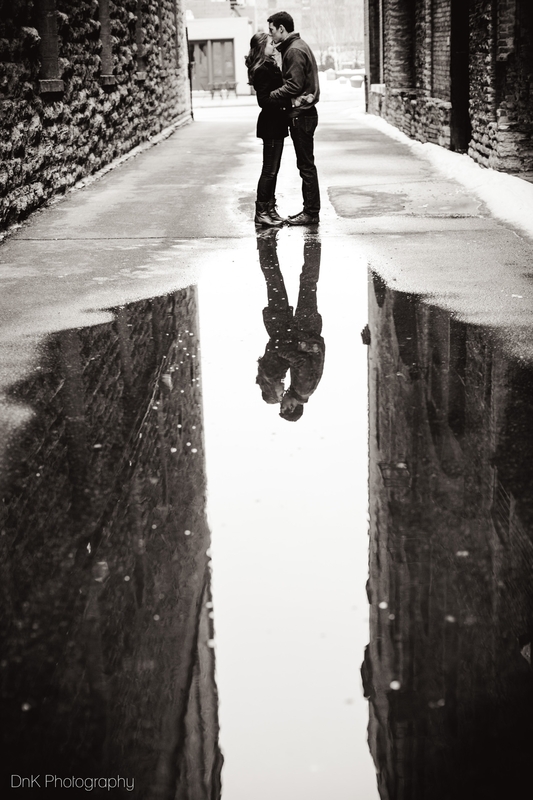 She records the love on your faces, all the little gestures of affection and and happiness. 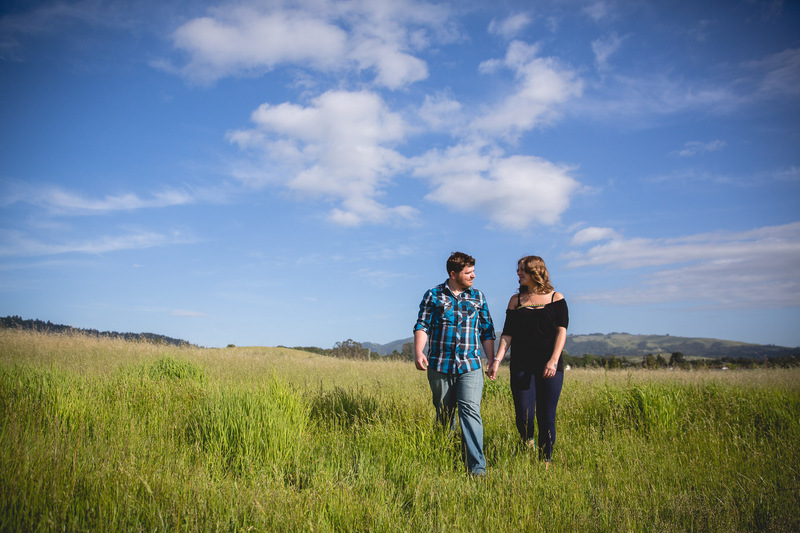 We offer both our perspectives and artistic visions during engagement photography sessions for twice the memories. 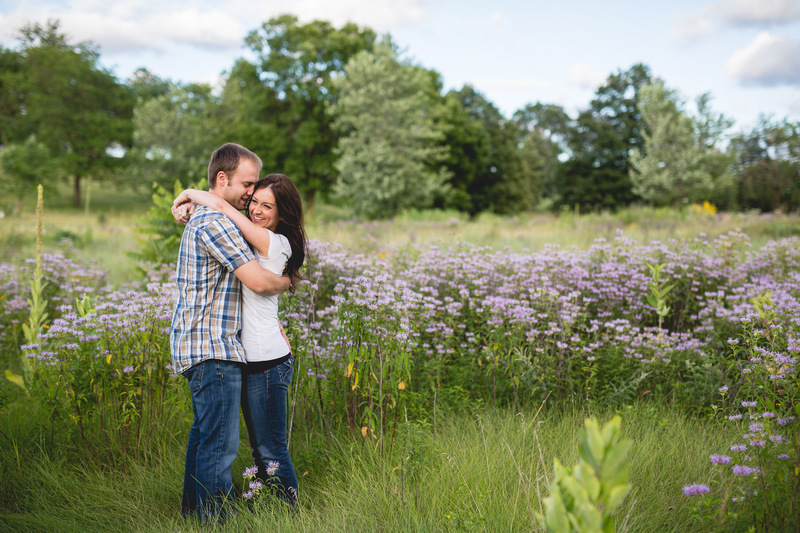 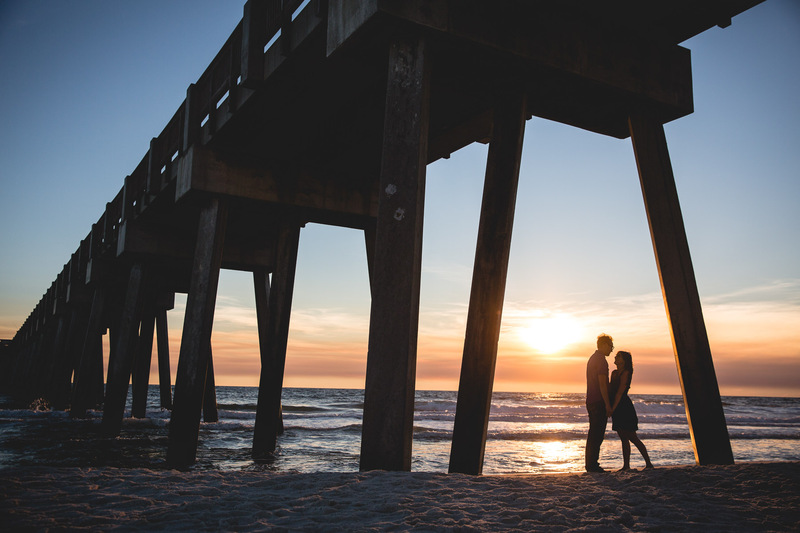 We get asked all the time where are our favorite location are to photograph engagement pictures. 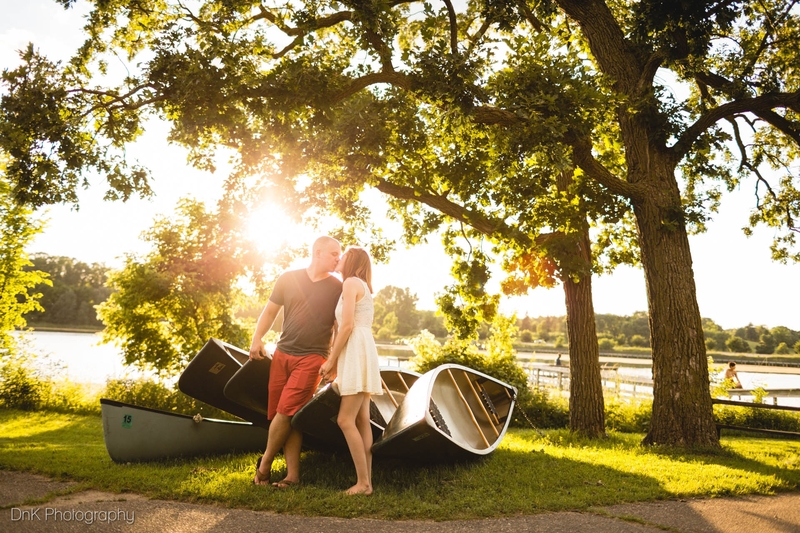 Some of our favorite spots are a closely guarded secret, but here are a few of the most popular spots around Minneapolis and St. Paul for photos. 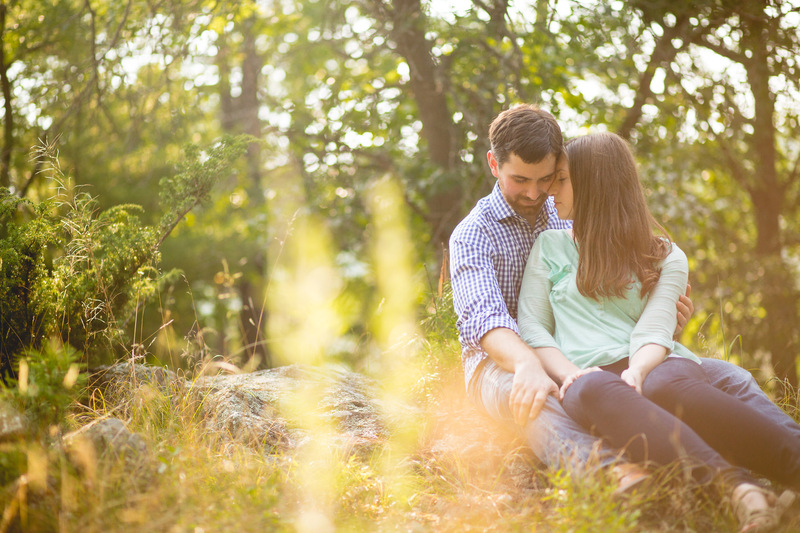 There is a reason that on any given night of the week in the summer you’ll see a half dozen photo sessions taking place in the area. 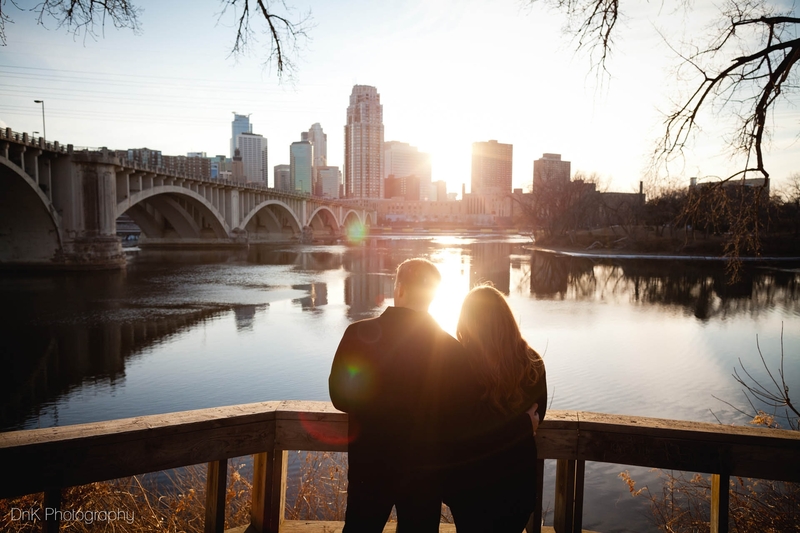 The stone arch bridge combines with Father Hennepin Park and the Mill city ruins along the iconic Minneapolis river front. 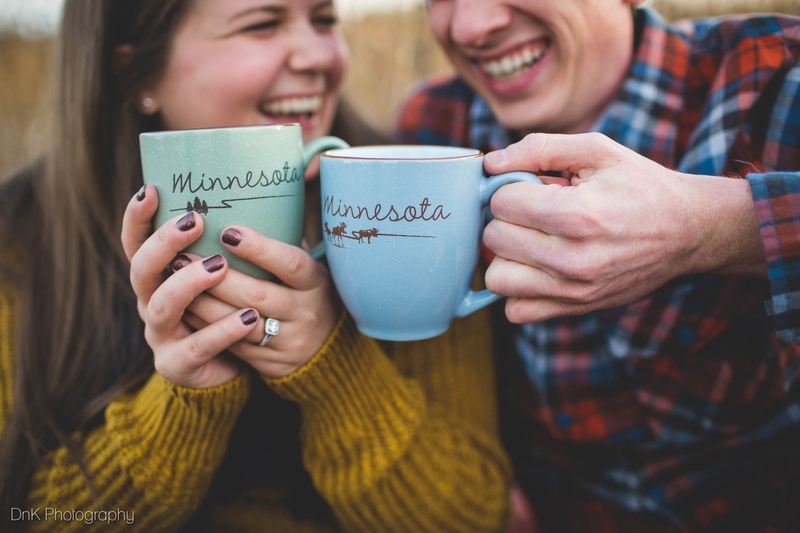 Here you’ll find awesome views of the Minneapolis skyline, brick buildings, a cobblestone street, a railroad bridge, big trees and of course the Mississippi river. 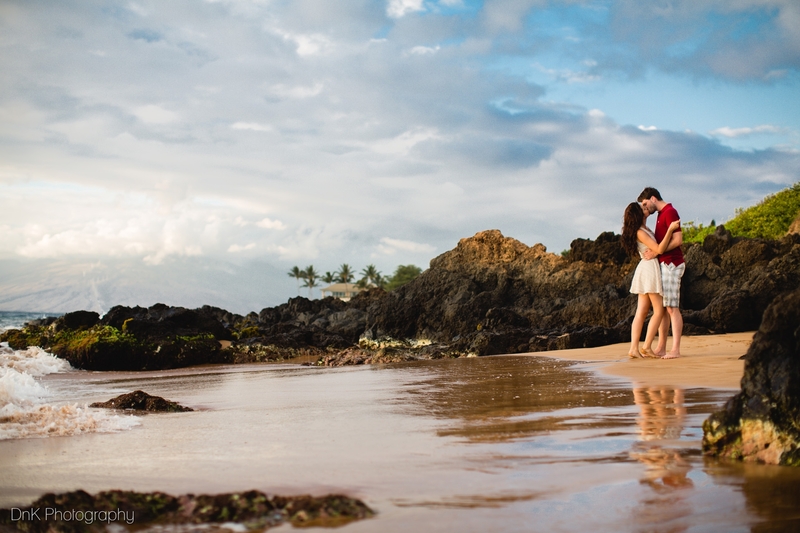 What makes this so popular of an area for photos is the big variety of options. 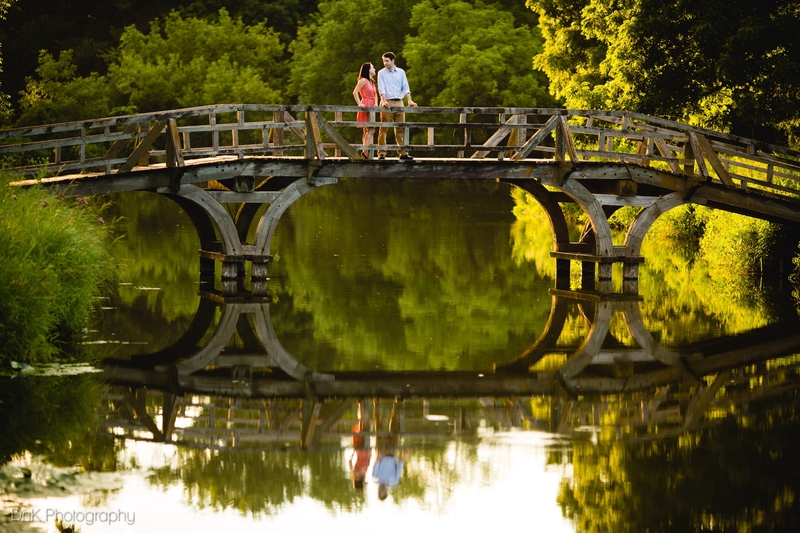 Of course most people get at least one photo on the bridge, but really there is so much variety that no two session in the area look the same. 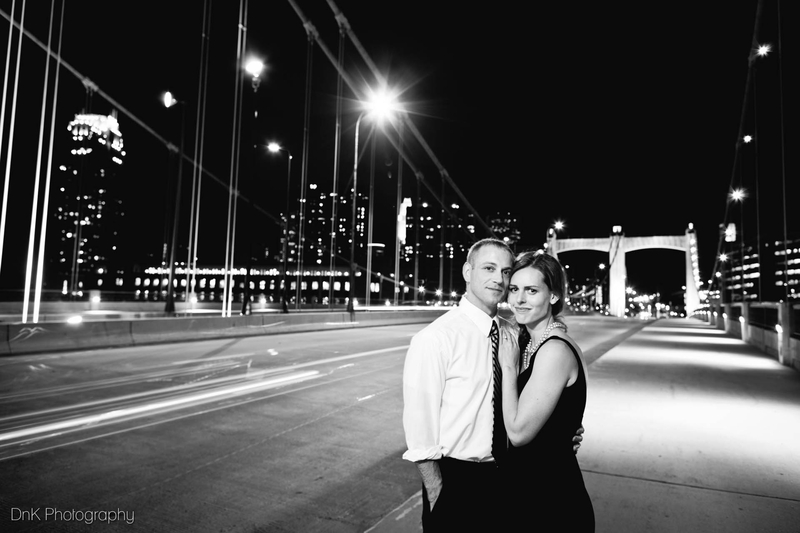 Here is one of our favorite sessions from the Stone Arch Bridge and Main Street area. 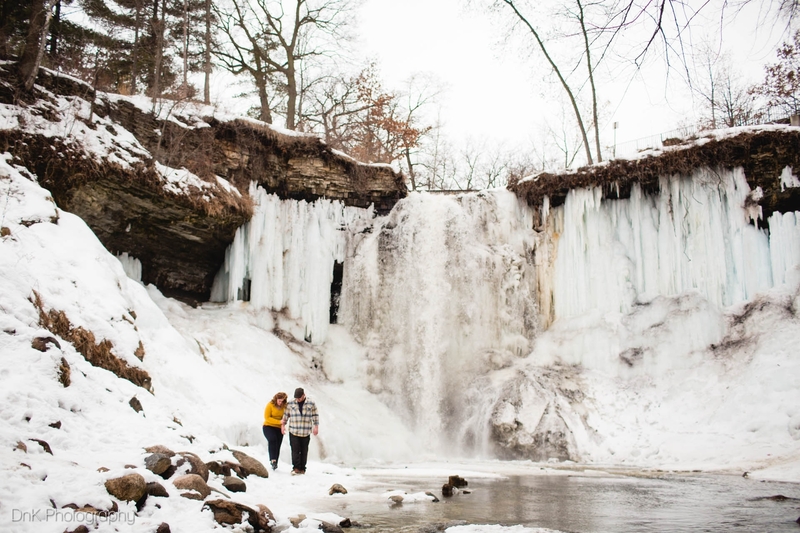 Minnehaha Falls is another great spot for engagement photos. 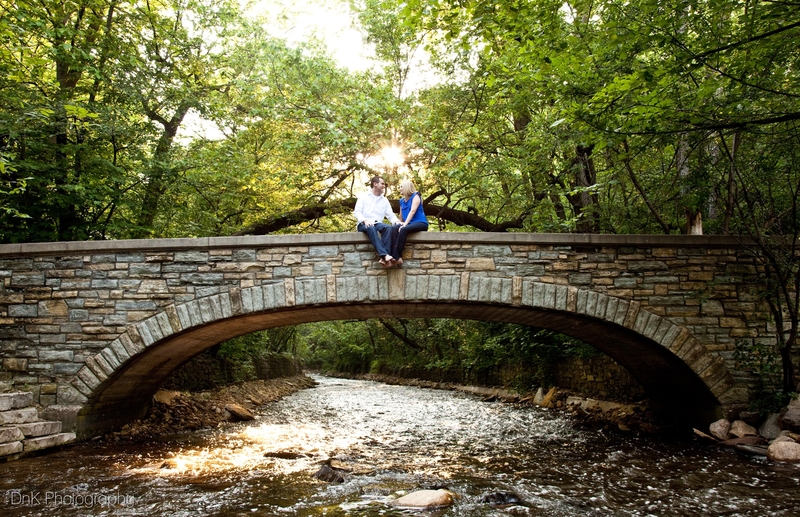 Just like at the Stone Arch Bridge you’ll see several sessions happening here on a nice evening in the summer. 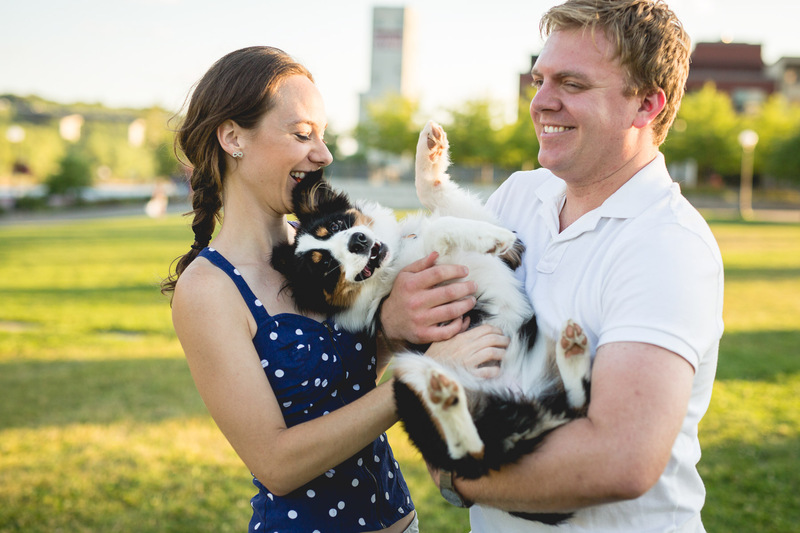 Why is it so popular for photos? 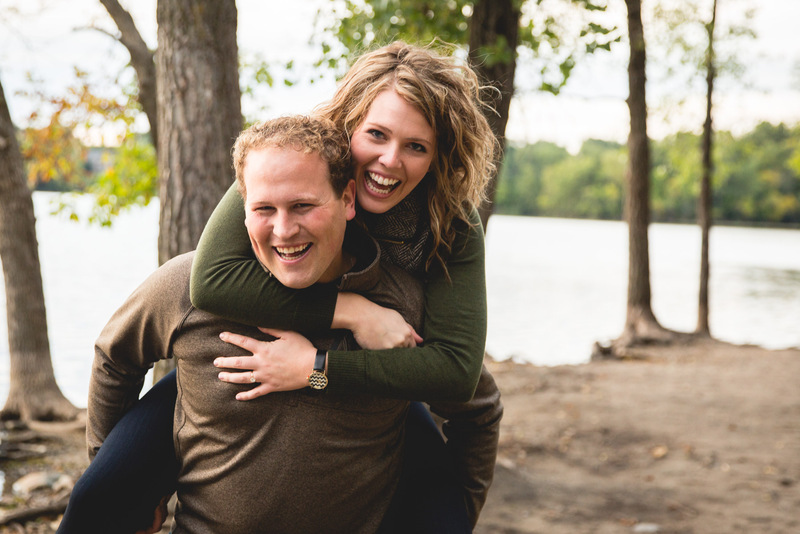 You have beautiful huge oak trees, hundreds of stone steps, a big waterfall and numerous stone bridges crisscrossing over the Minnehaha Creek. 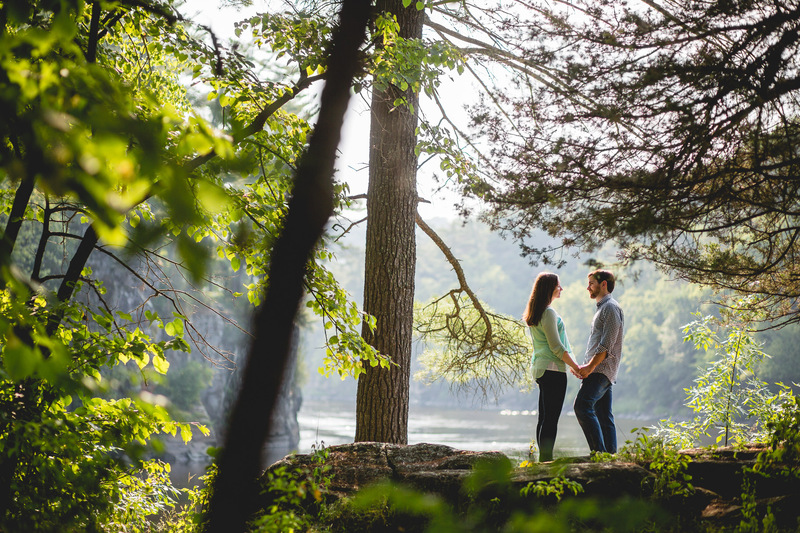 With the variety of backdrops it really is a great spot for engagement pictures, especially if you can find a time when it’s not too busy. 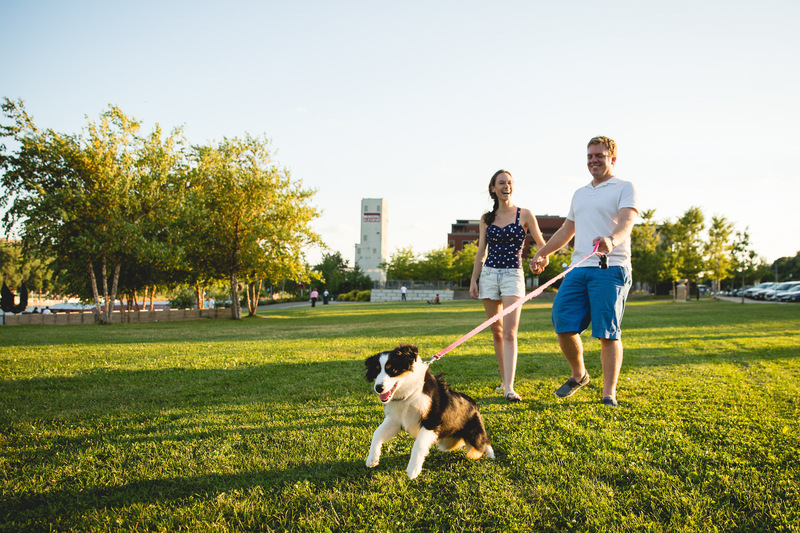 The park can even be busy in the winter, but much less so then on those perfect fall days. 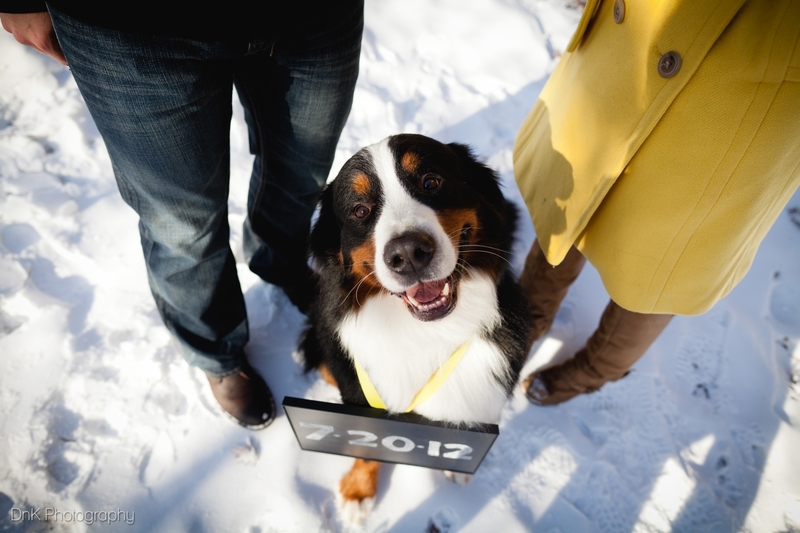 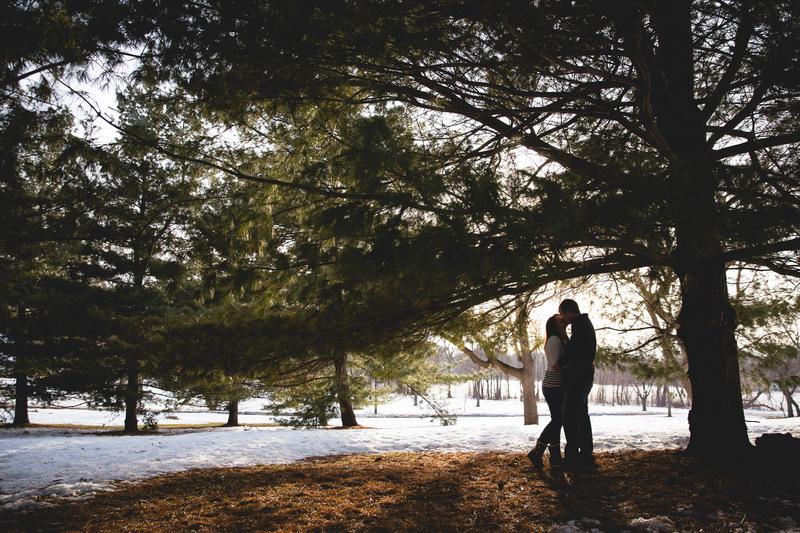 Here is one of our favorite winter engagement sessions at Minnehaha Falls. 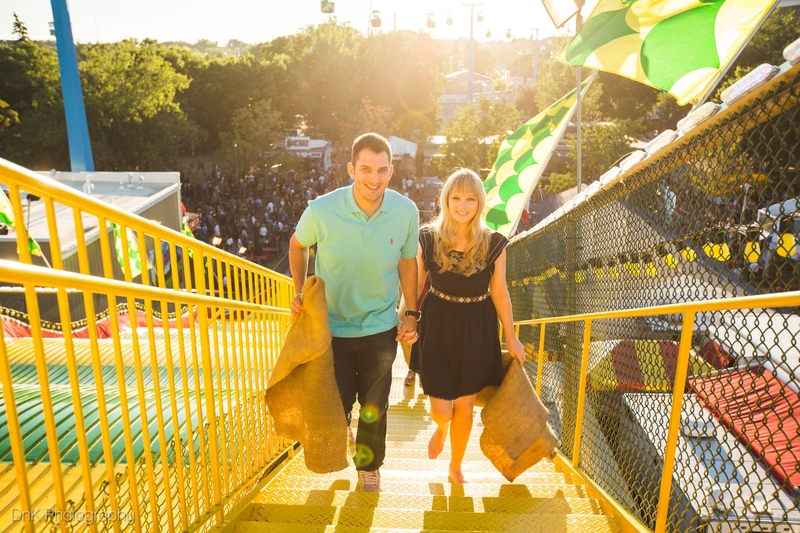 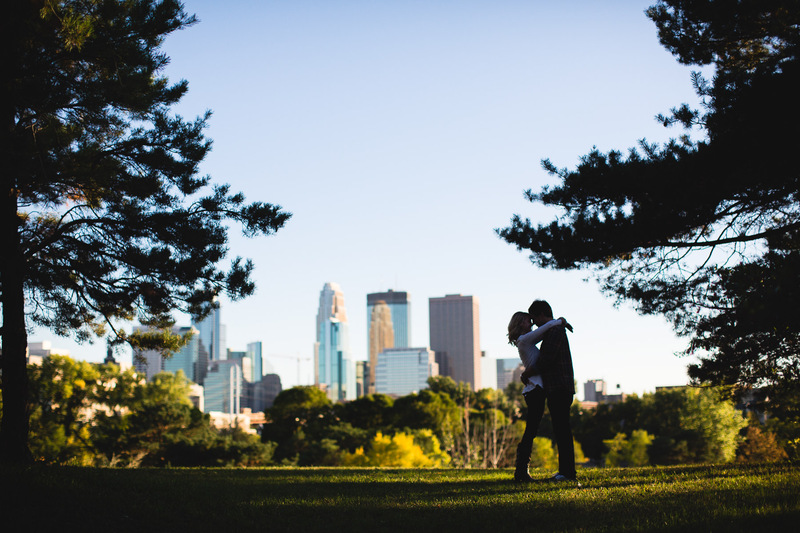 We have a lot of couples tell us that they really love Minneapolis and the skyline. 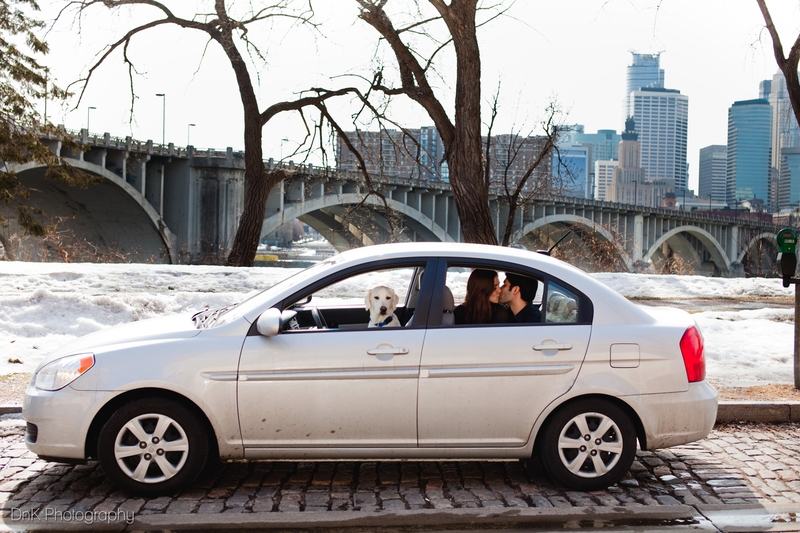 However, the Stone Arch Bridge isn’t quite the right fit for them. 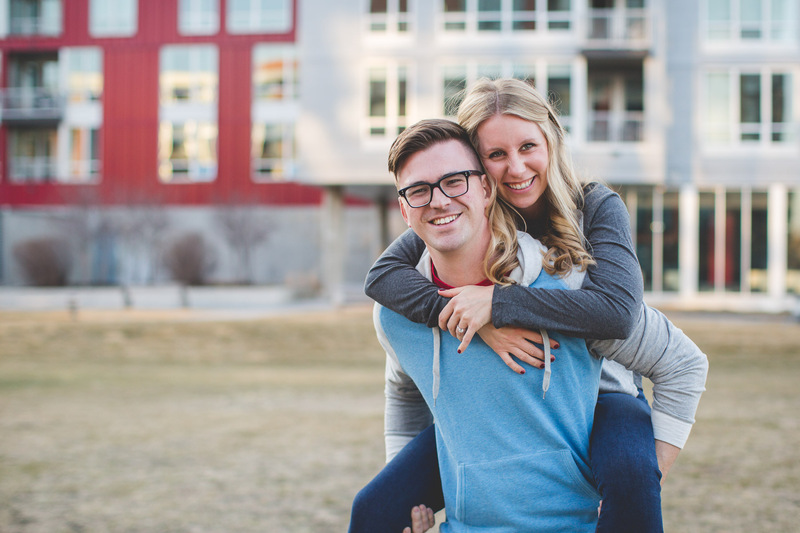 If you’re looking for engagement pictures that are a little more urban consider heading just east of downtown into the warehouse district. 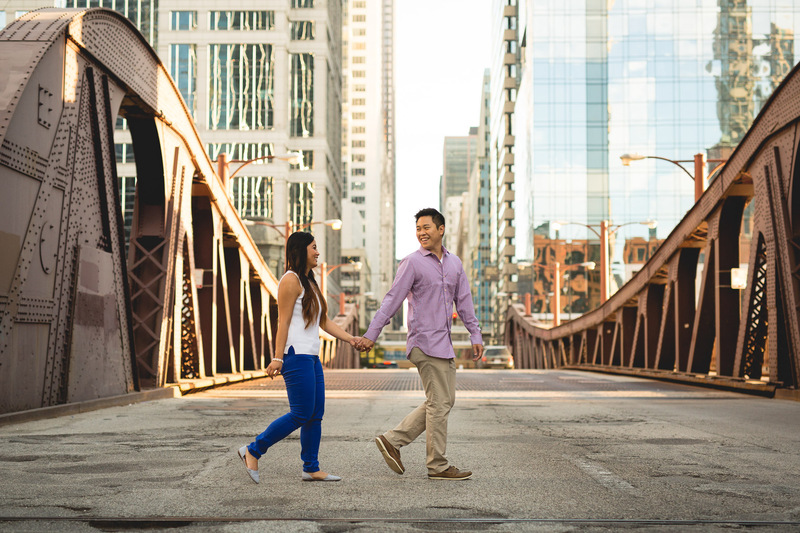 In this area you’ll find an awesome mix of architecture and urban decay that makes for great photo backdrops. 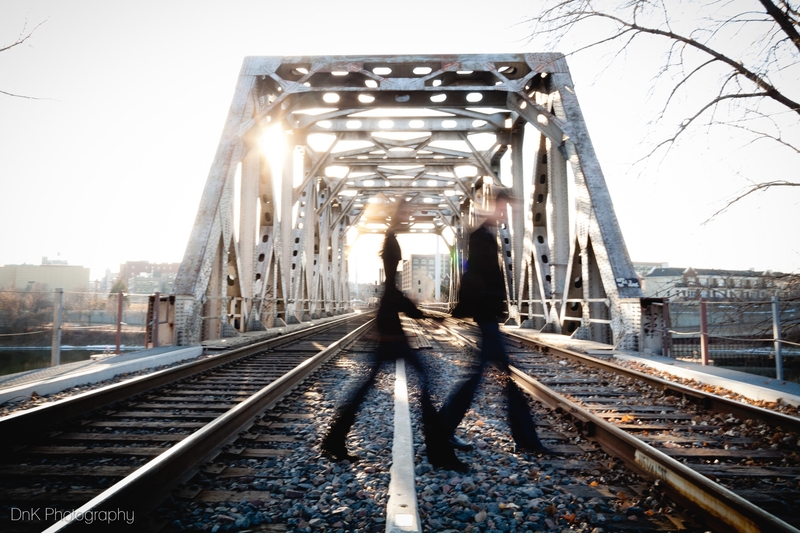 You’ll end up walking a little bit, but the photo opportunities are definitely worth it. 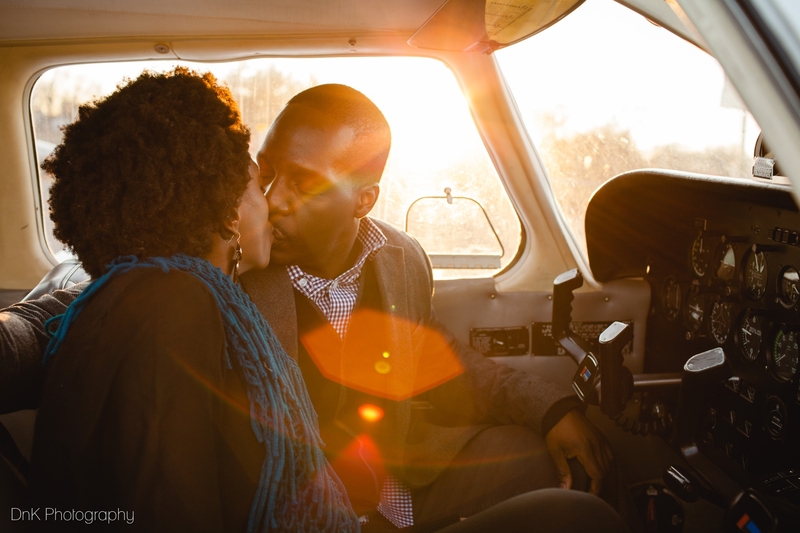 After taking photos in the city head across the river to boom island. 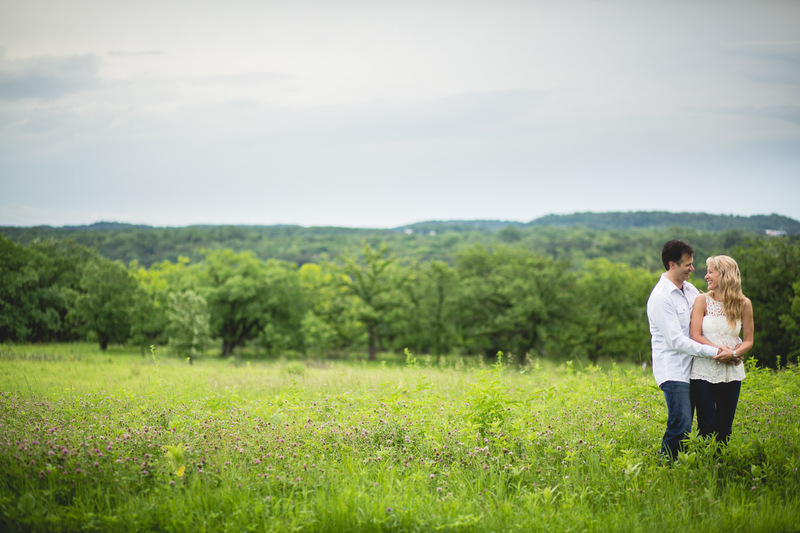 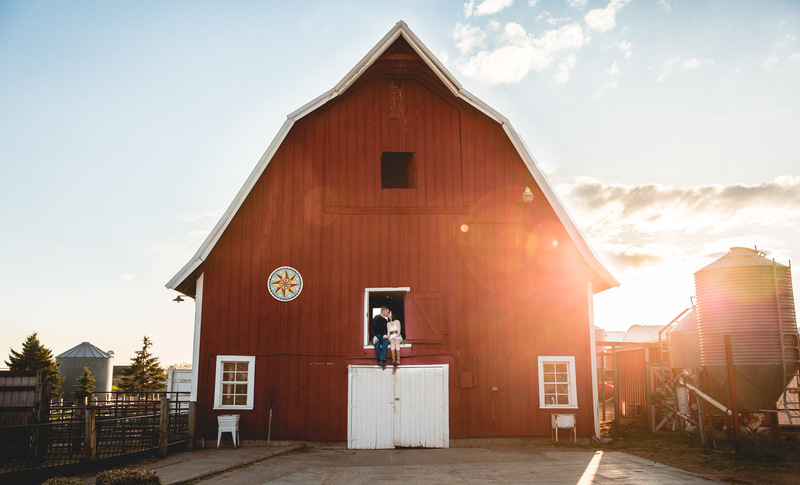 This is one of our favorite locations for wedding and engagement photography. 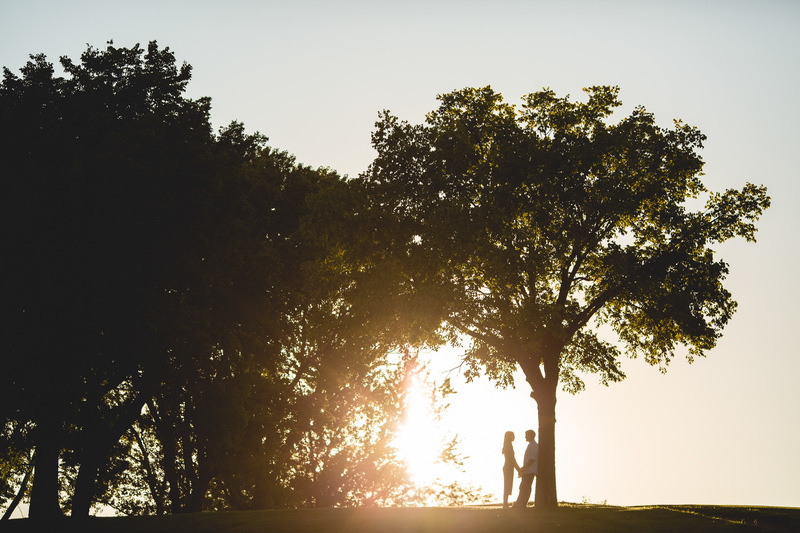 You’re able to get nice views of downtown framed by big trees. 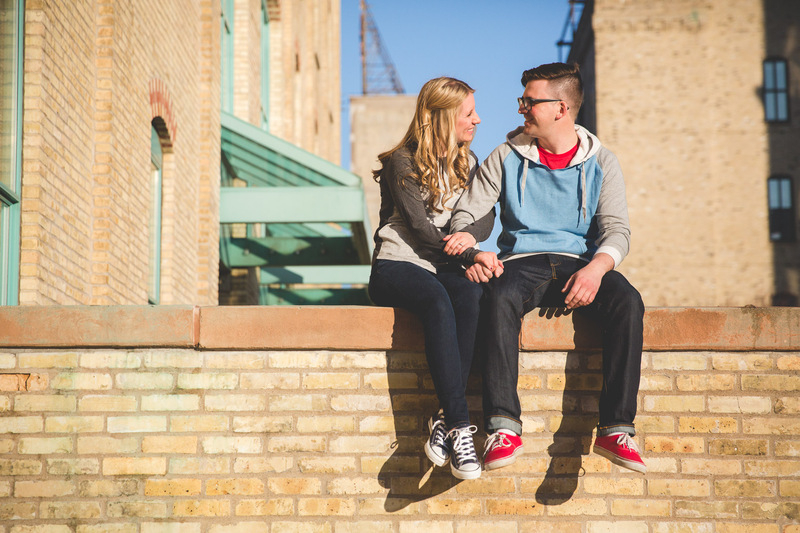 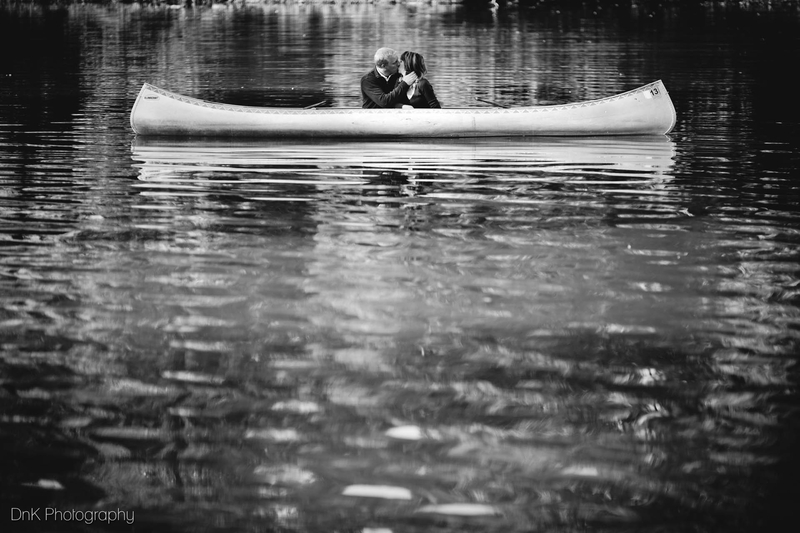 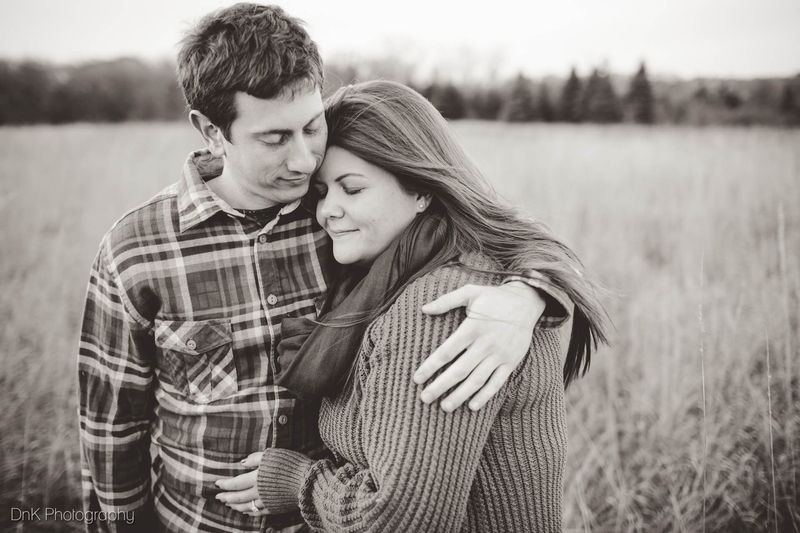 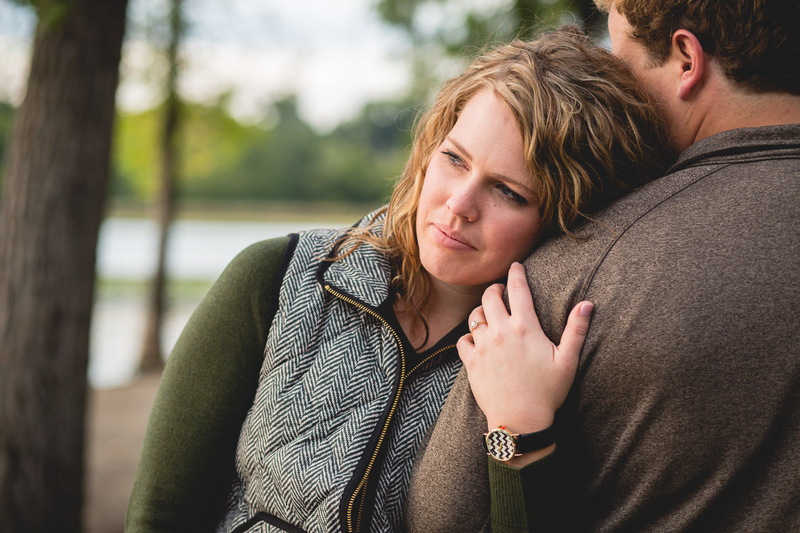 Here is one of my favorite Minneapolis urban engagement sessions. 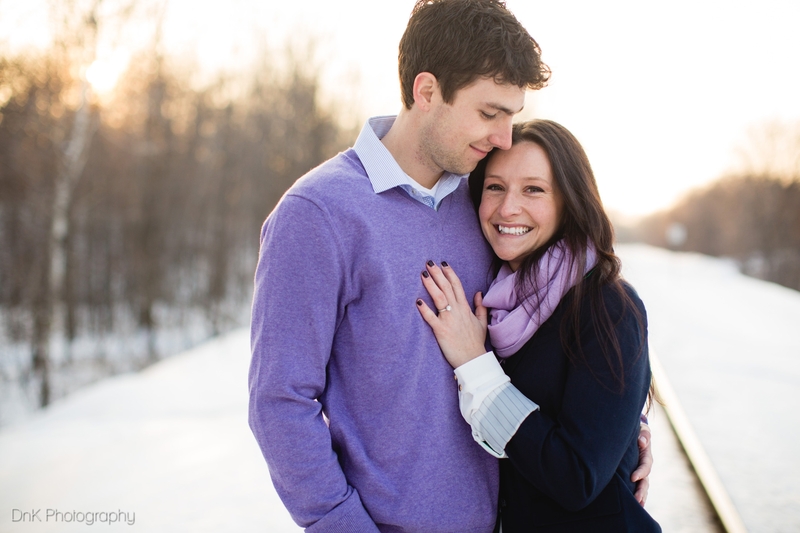 Let us help you share your engagement with friends and family. 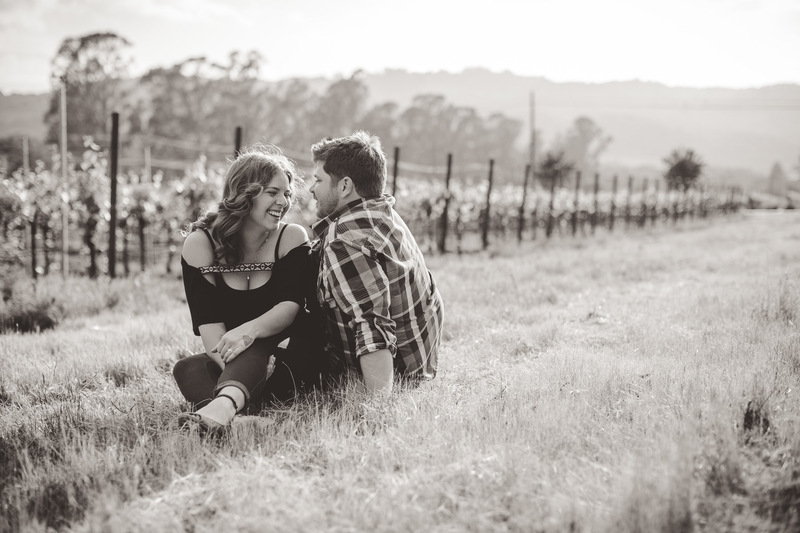 Not only will you come away with awesome photos, but as wedding photographers we know that couples who have done a session together are more relaxed when it comes to their wedding day. 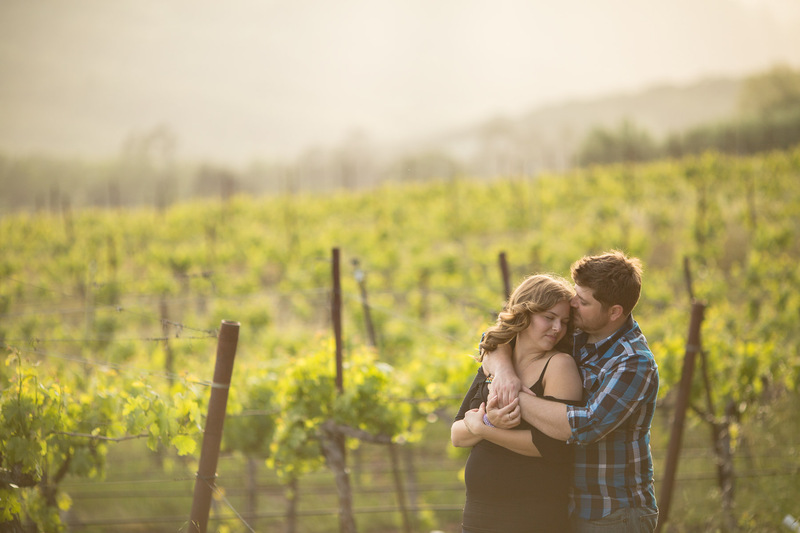 You’ll get to know your photographer, and we get to know more about you as well. 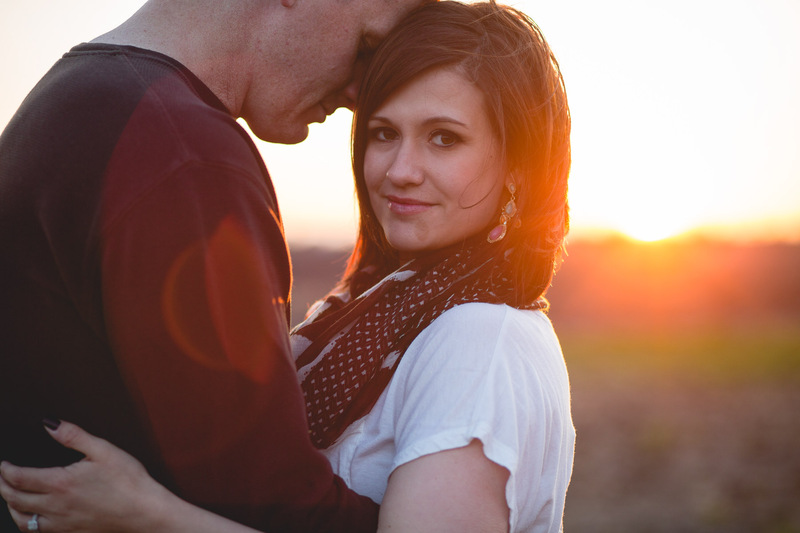 Having that a little bit of practice with a professional photographer definitely helps people feel more relaxed. 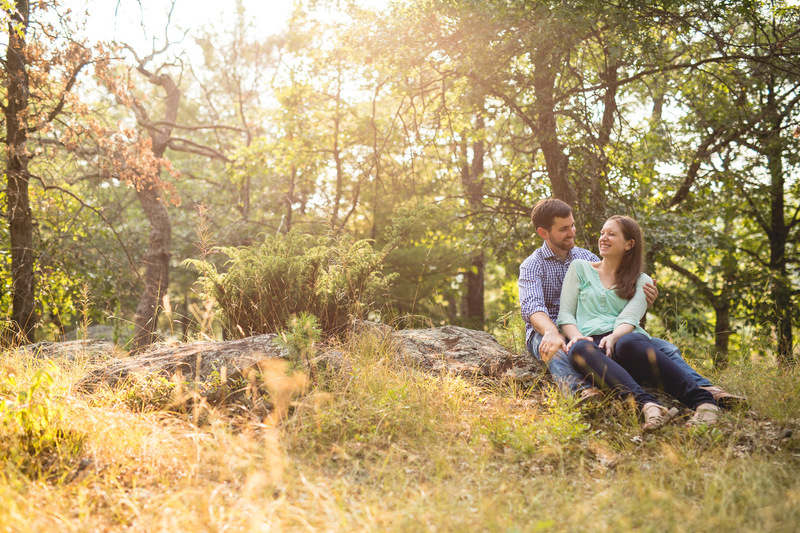 Book us for your engagement photography today!